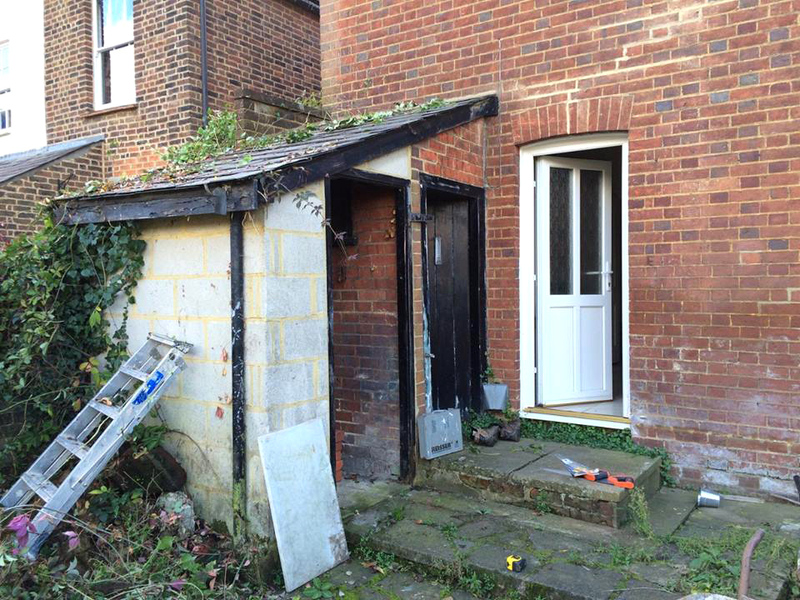 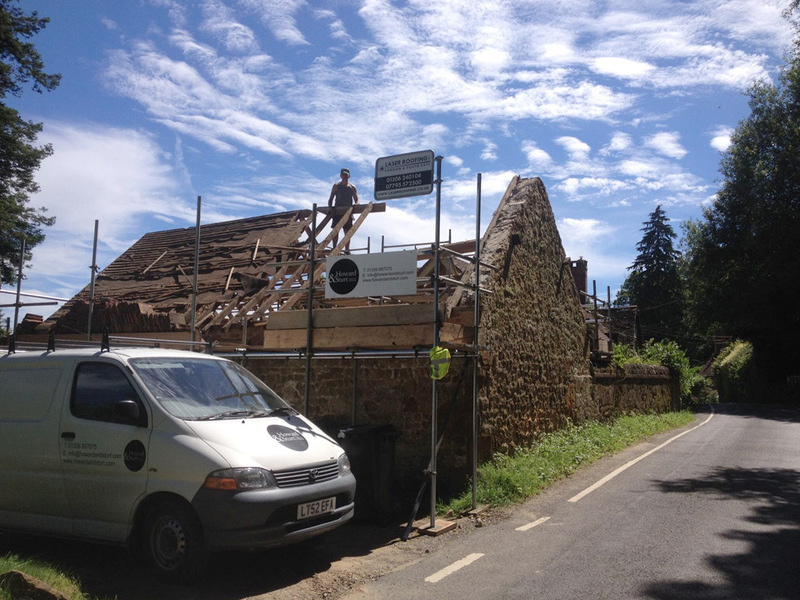 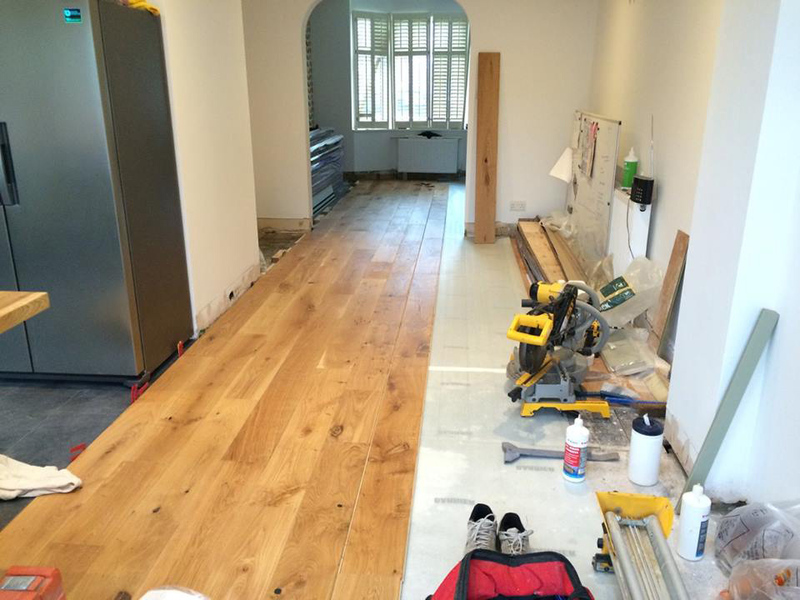 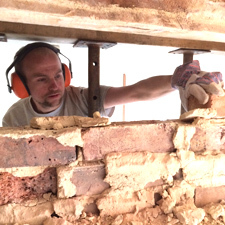 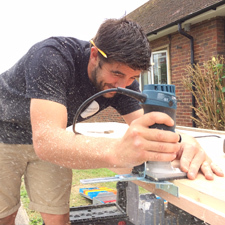 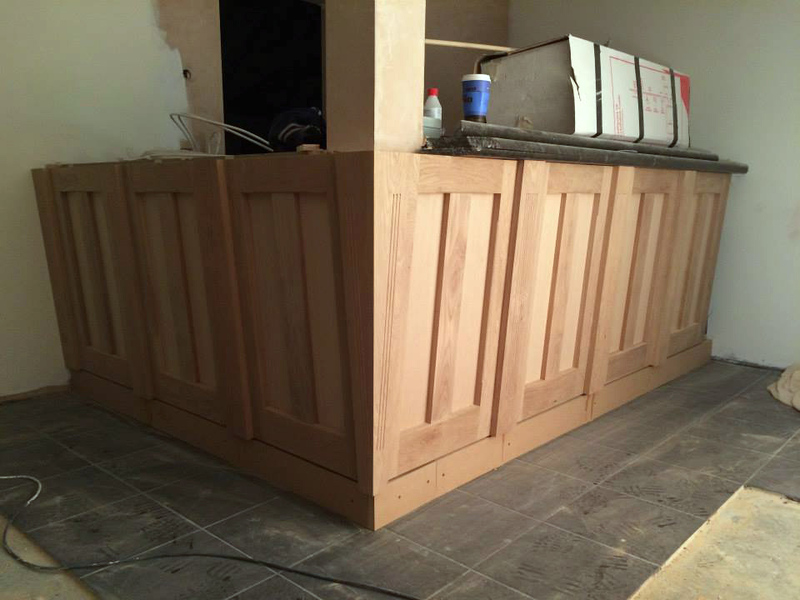 Carpentry, joinery and building services in Dorking, Surrey. 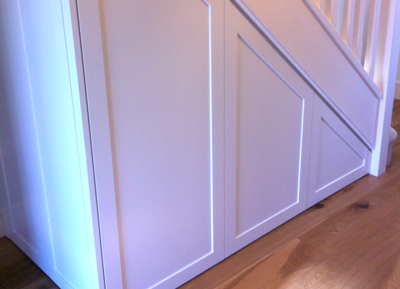 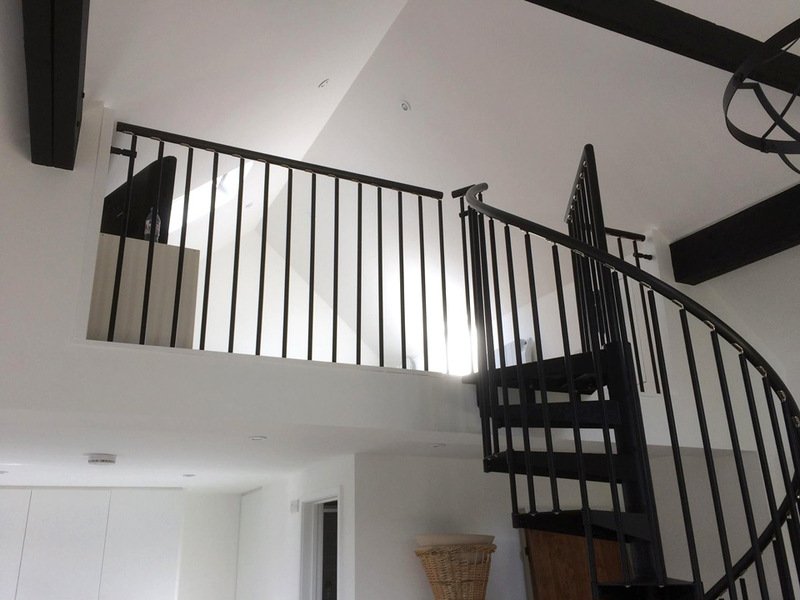 Doors and floors, Decking, Stairs and handrails, Bespoke furniture & Storage solutions, Bespoke joinery projects. 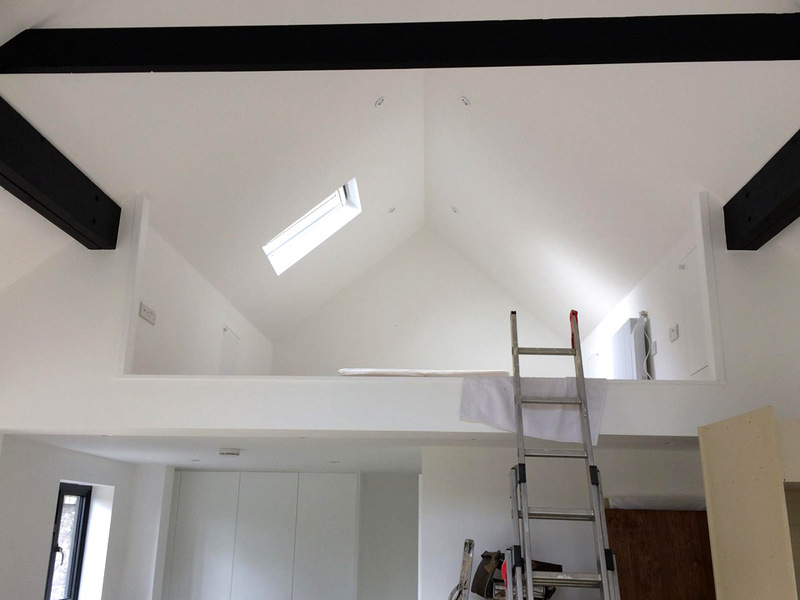 Loft conversions, Restorations, Renovations, House Extensions, Conservatories. 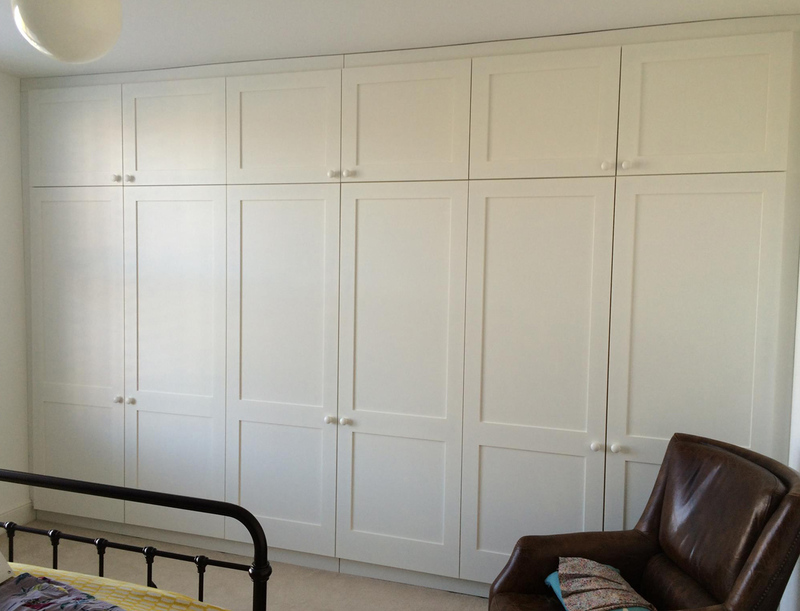 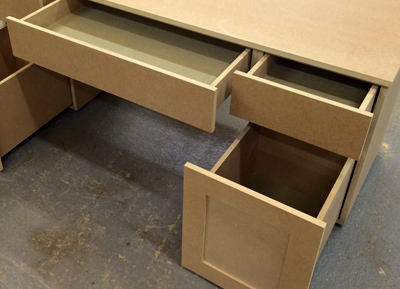 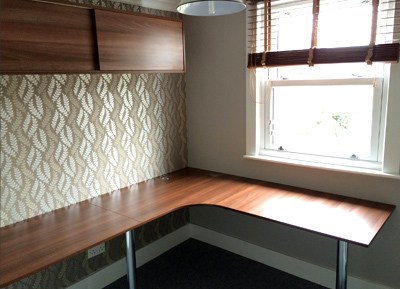 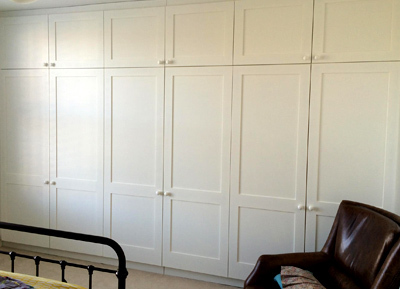 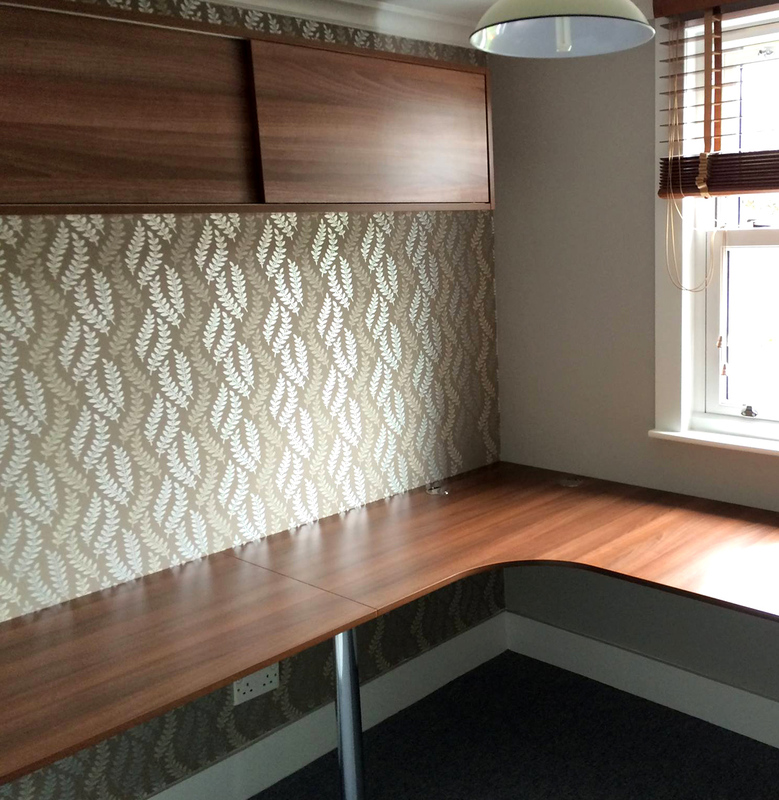 Bespoke bedroom furniture (fitted wardrobes, bookcases, storage solutions), Office furniture, Fitted kitchen units and installation, Bathroom storage & Shelving. 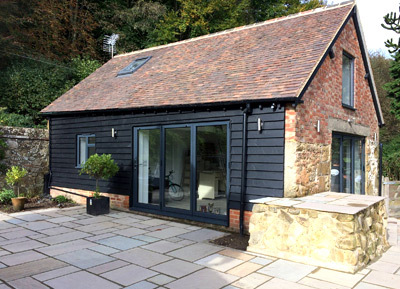 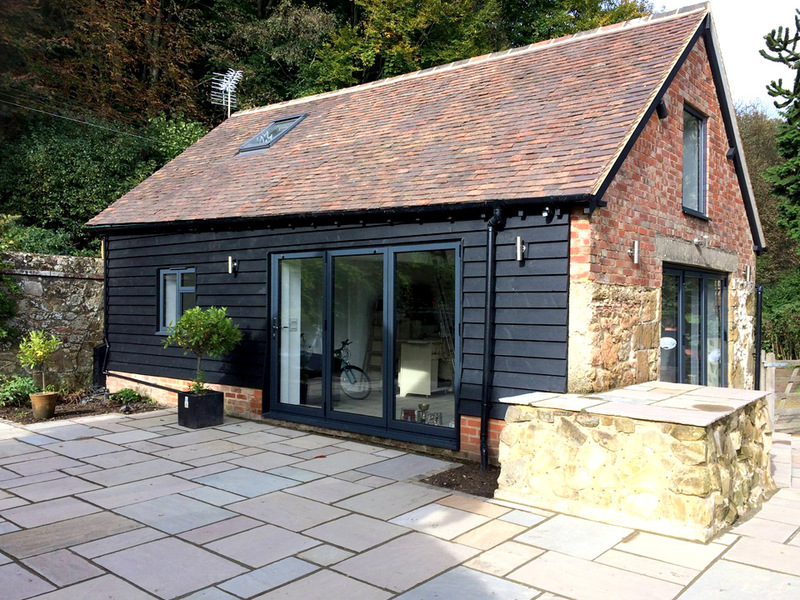 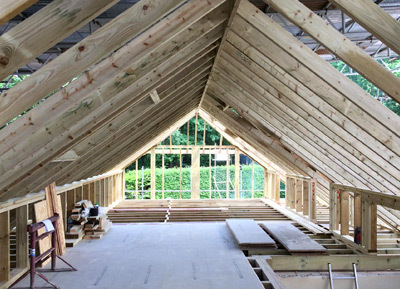 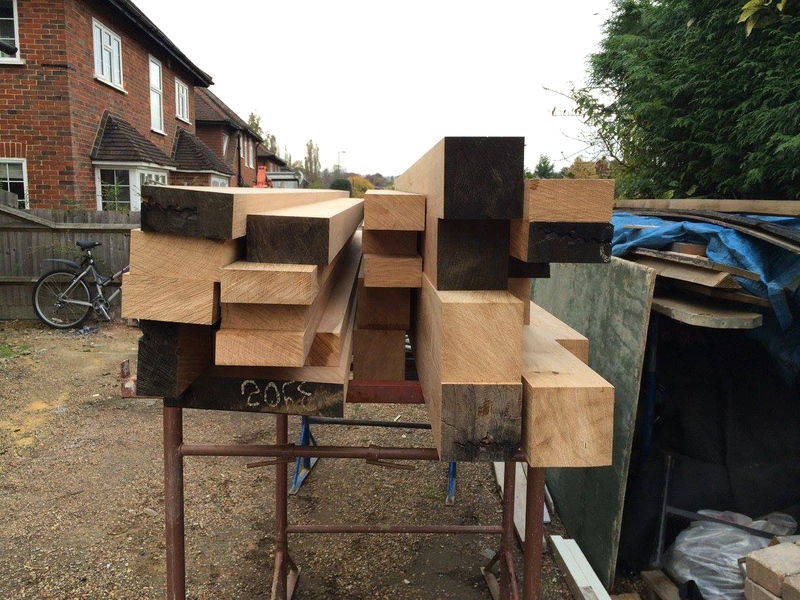 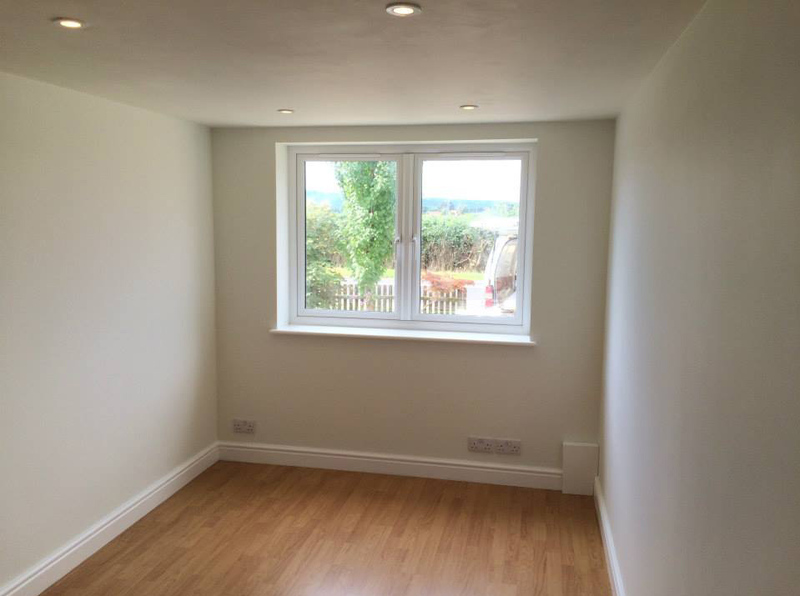 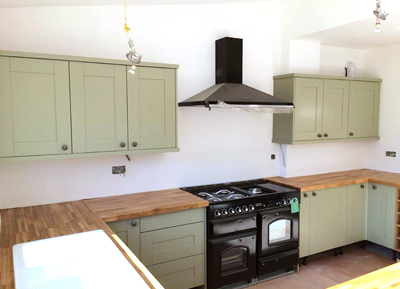 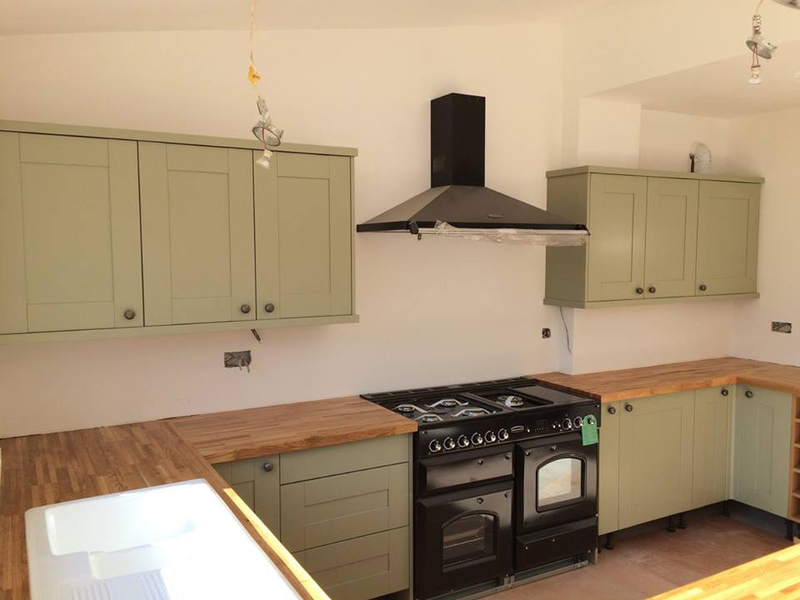 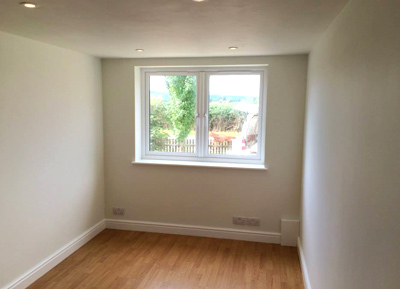 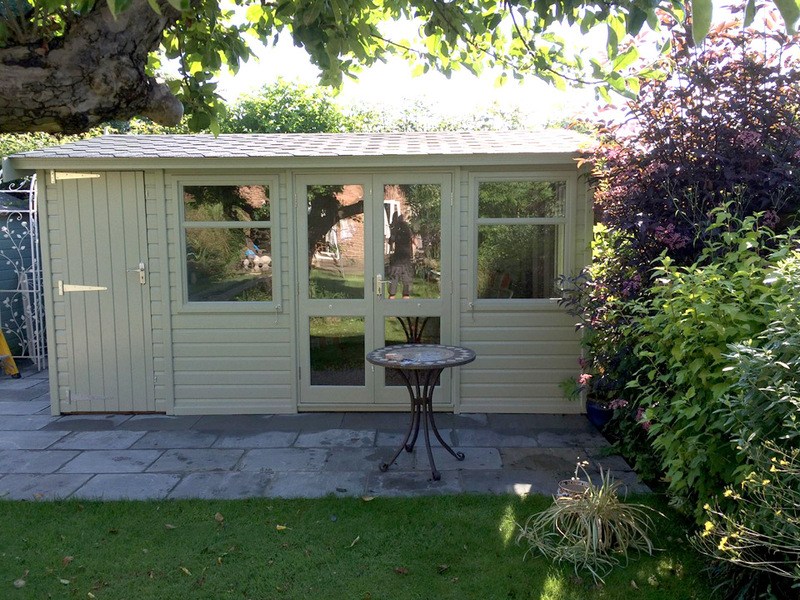 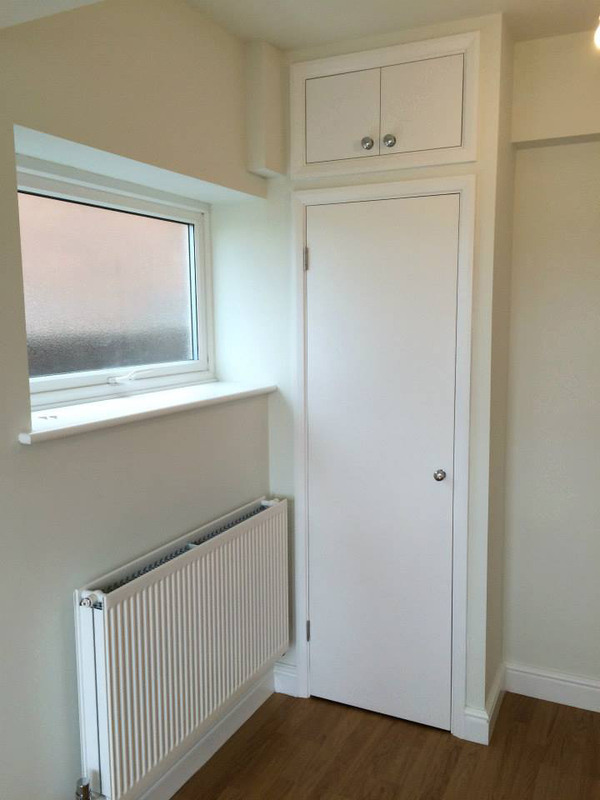 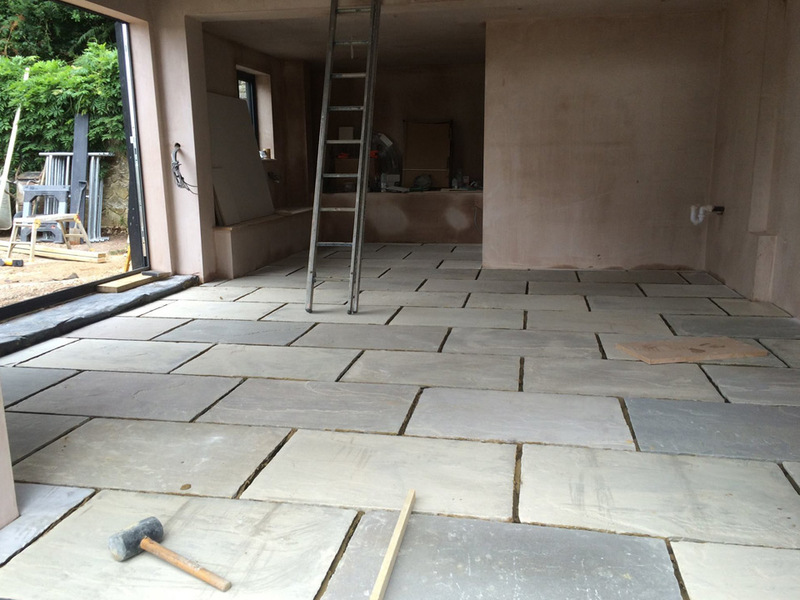 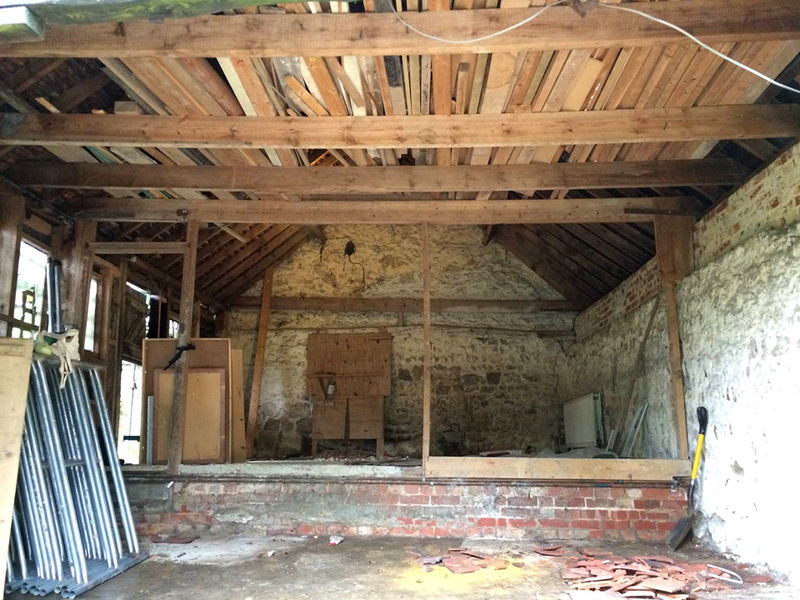 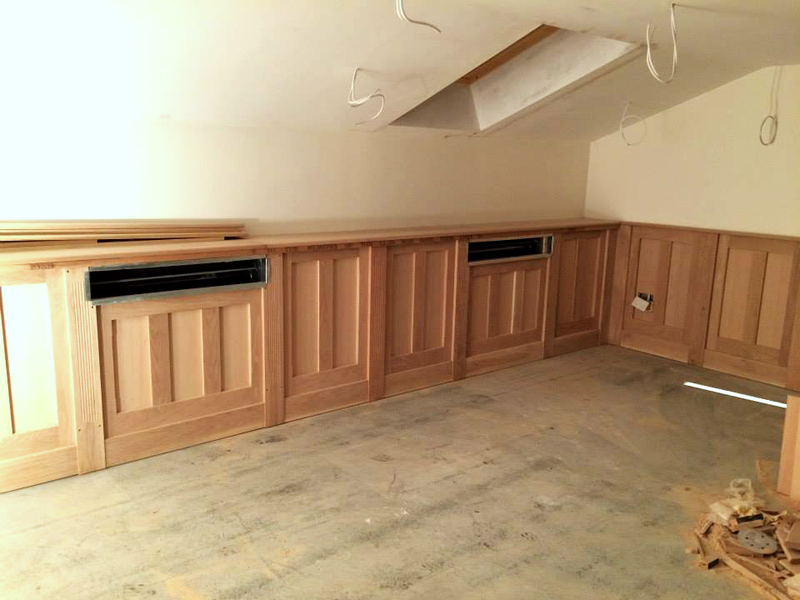 Carpentry, joinery and building services, in Dorking, Surrey. 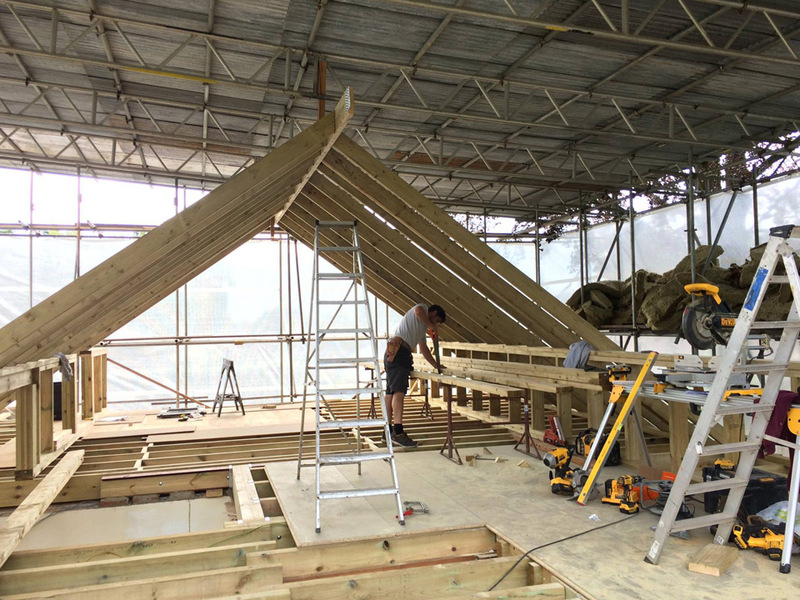 Howard & Sturt is an established Carpentry, Joinery and Building company based in Dorking, Surrey, managed by Ben Howard and Craig Sturt. 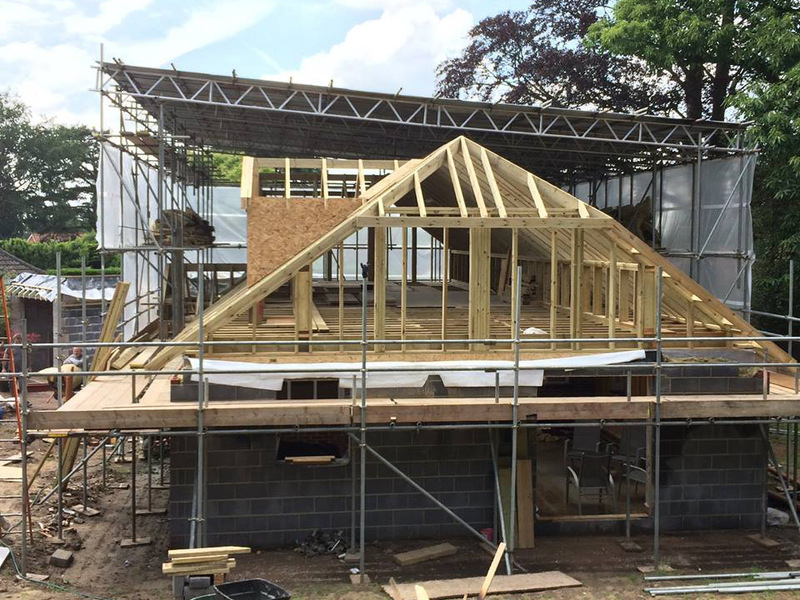 Together we have over 30 years combined commercial experience within the industry. 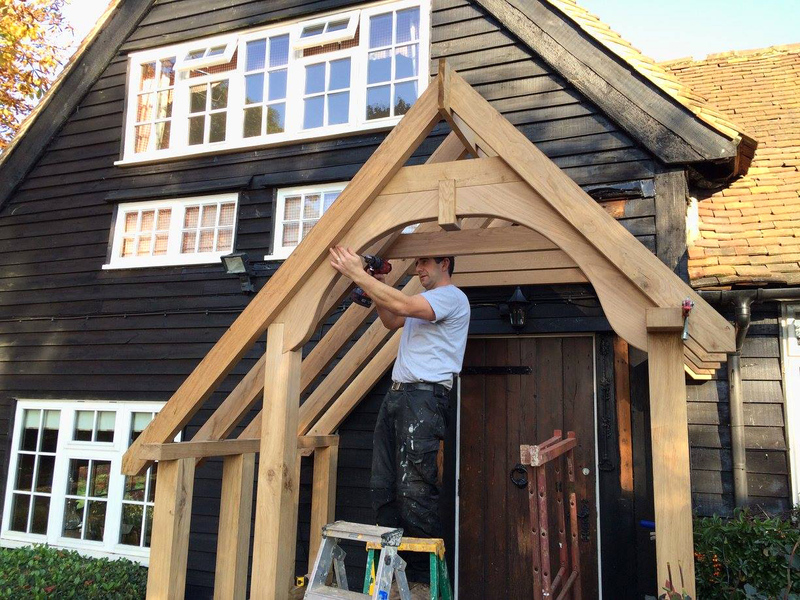 We have an excellent local reputation within the carpentry, joinery and building sectors because we deliver a high standard of work, both to budget and on time. 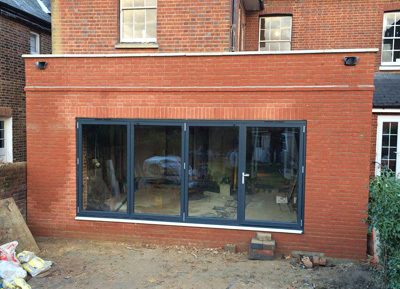 Our clients range from building contractors to developers and private clients. 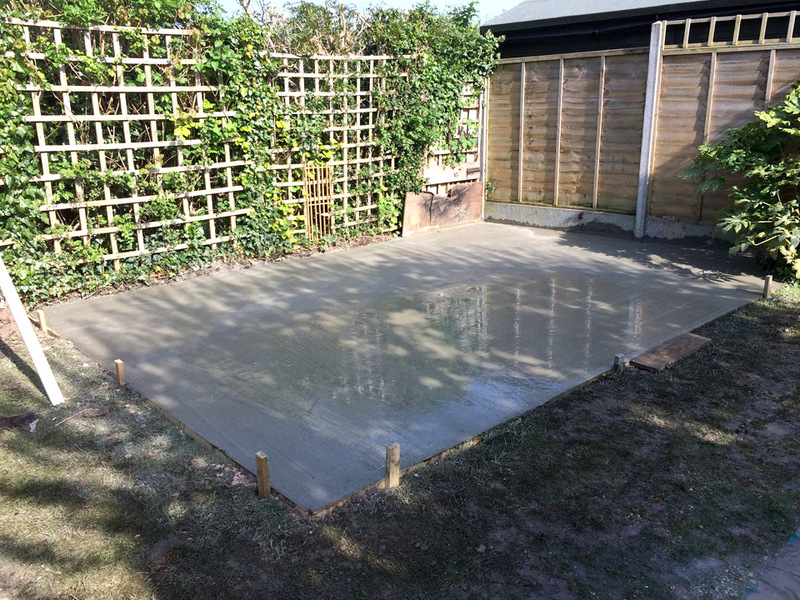 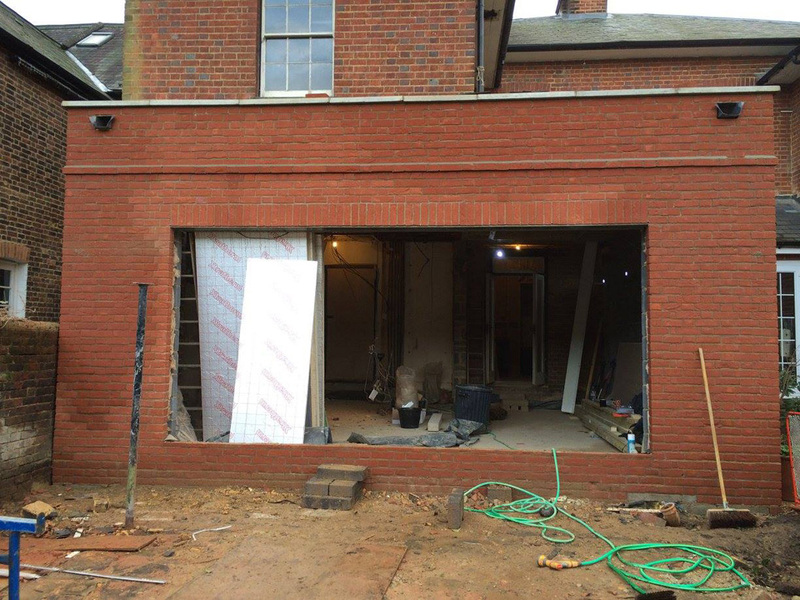 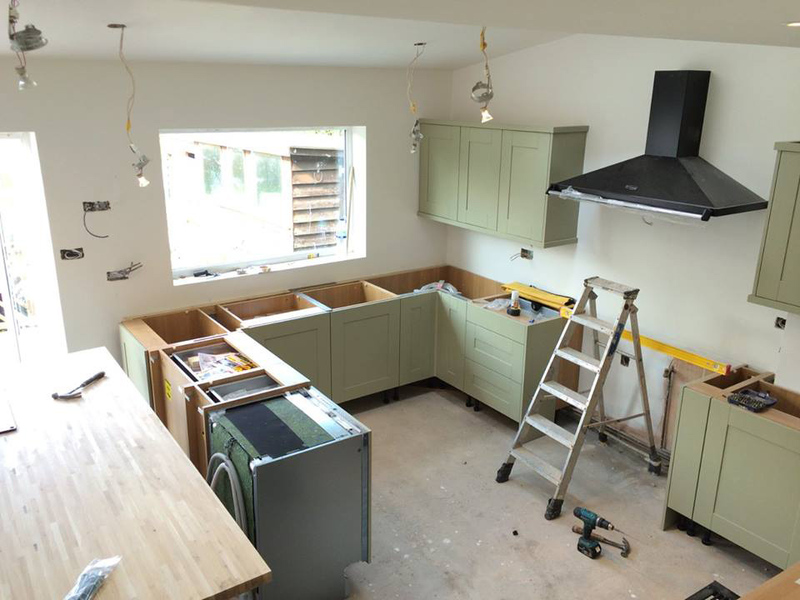 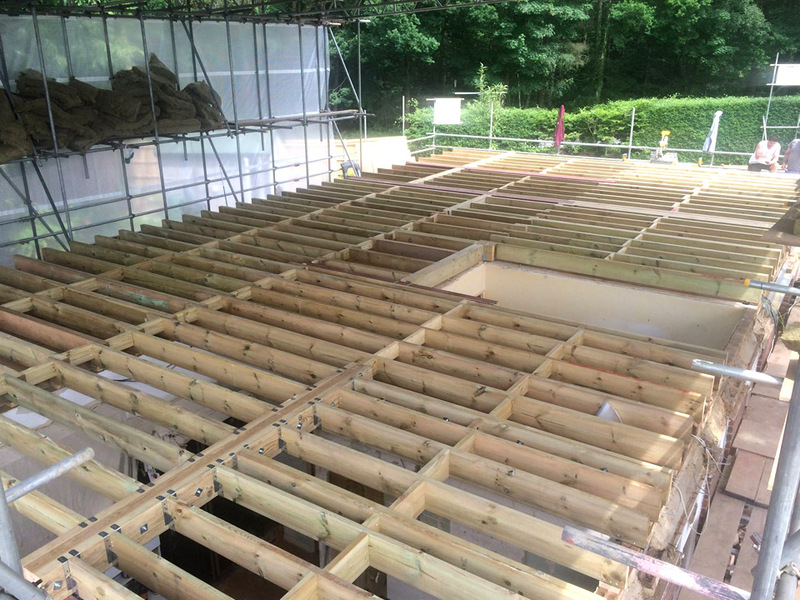 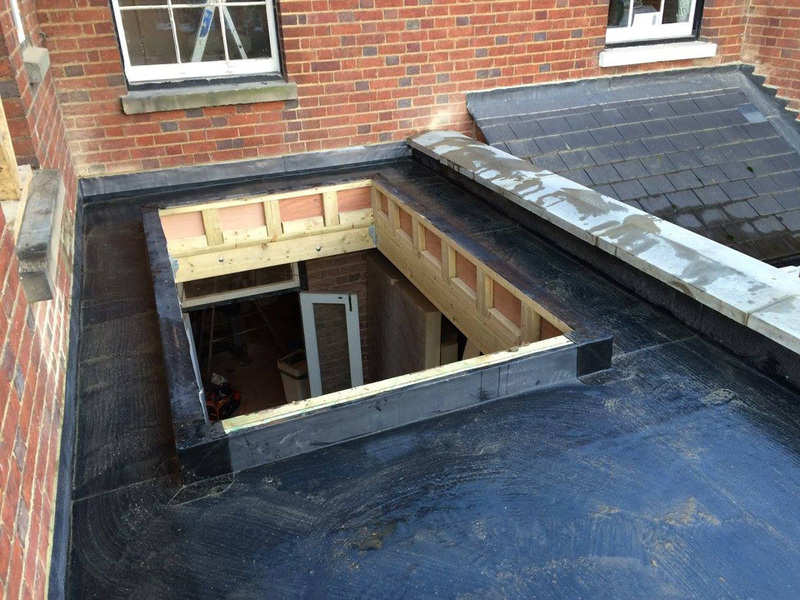 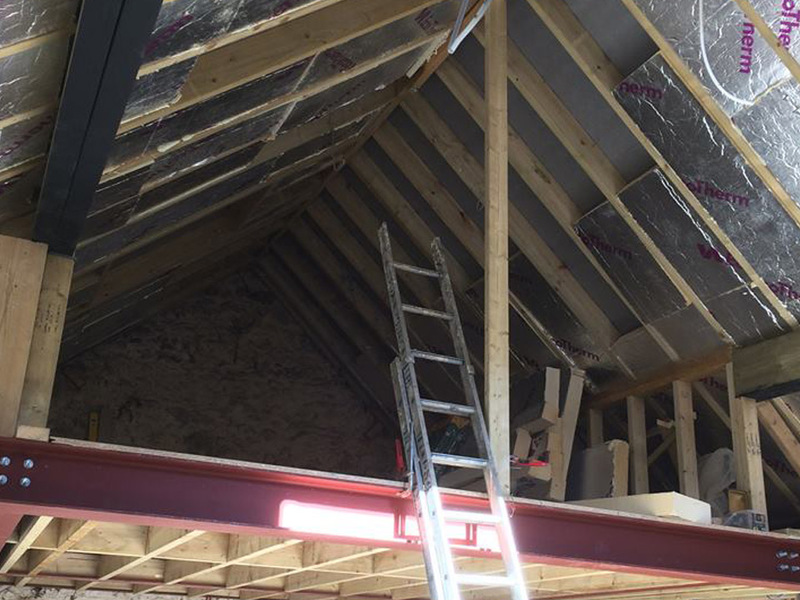 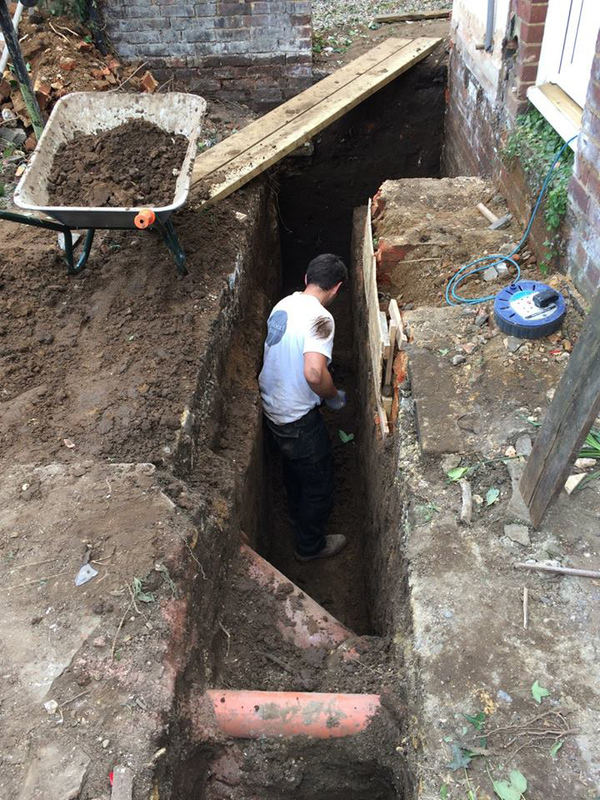 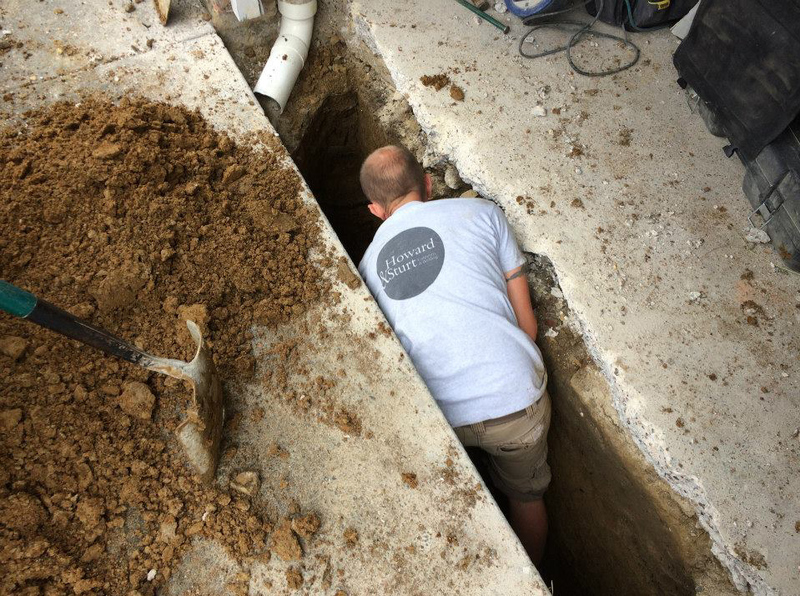 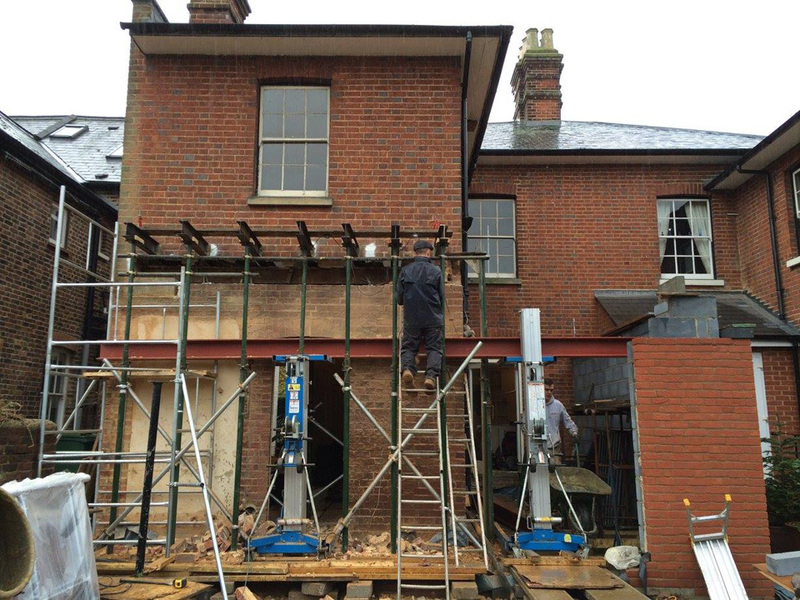 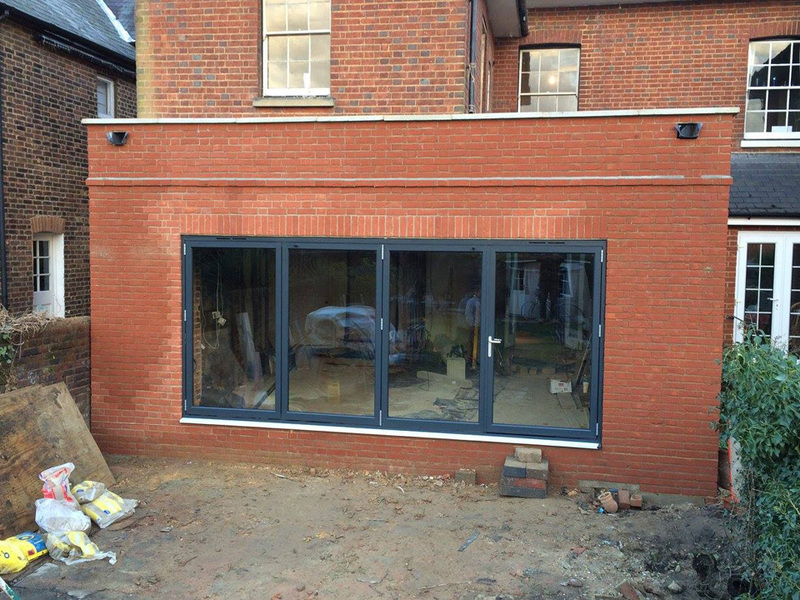 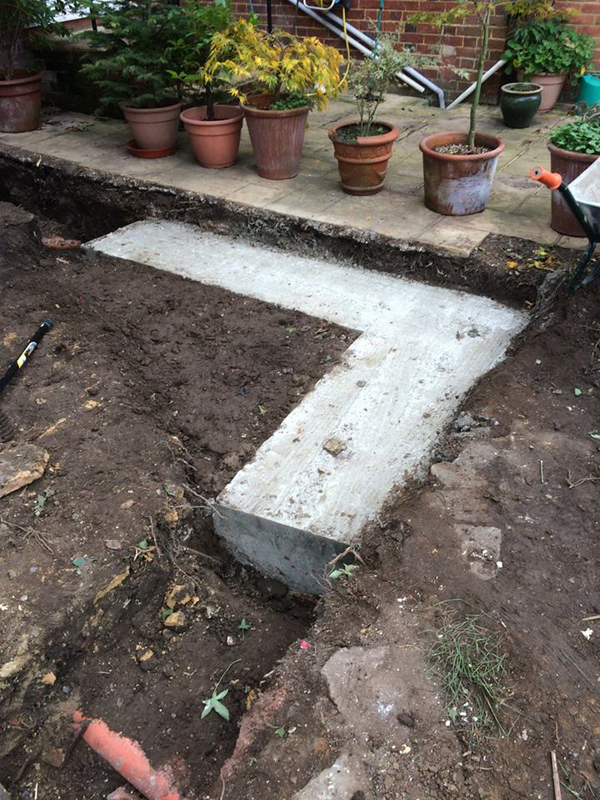 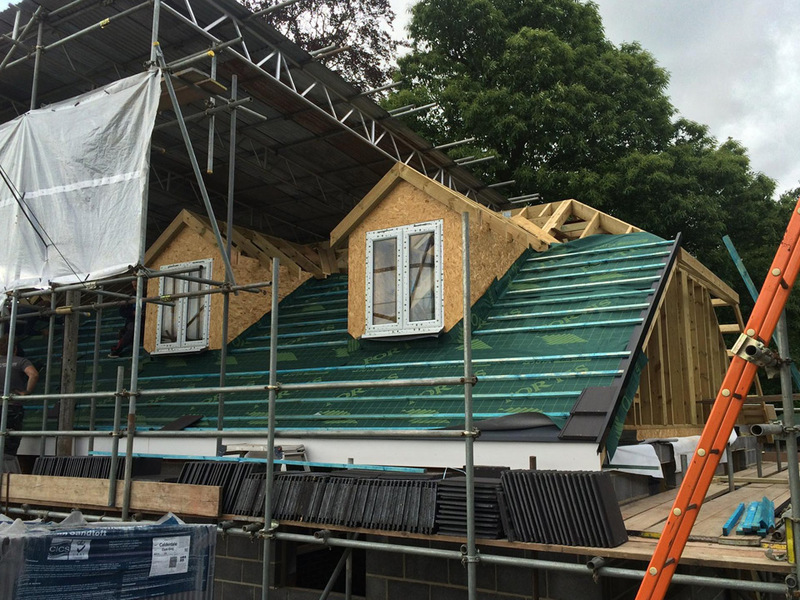 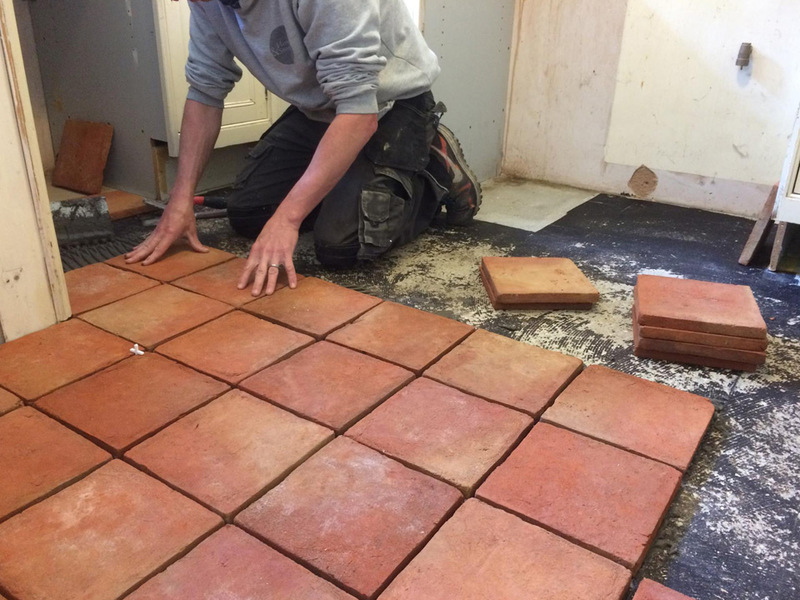 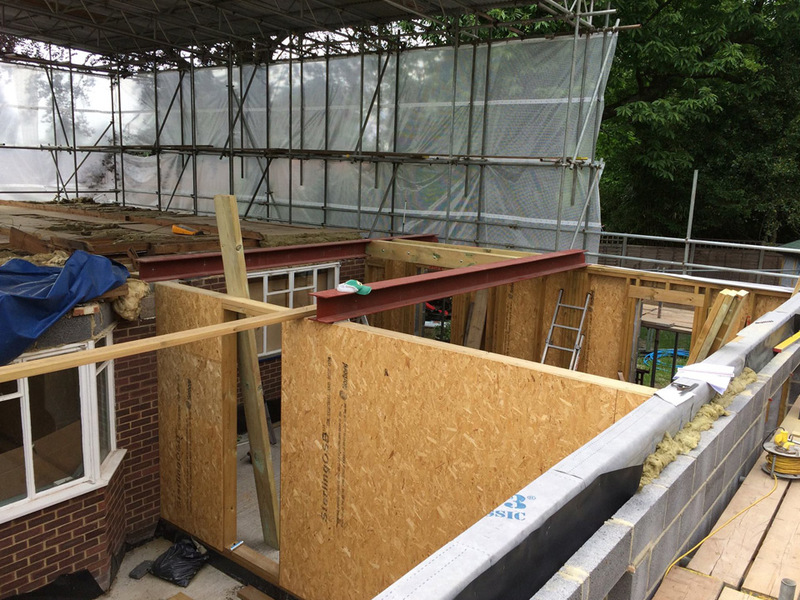 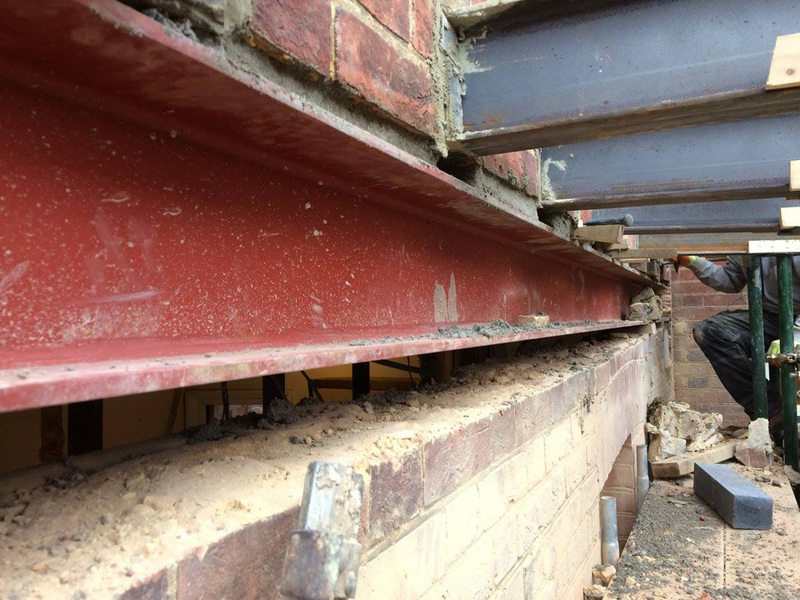 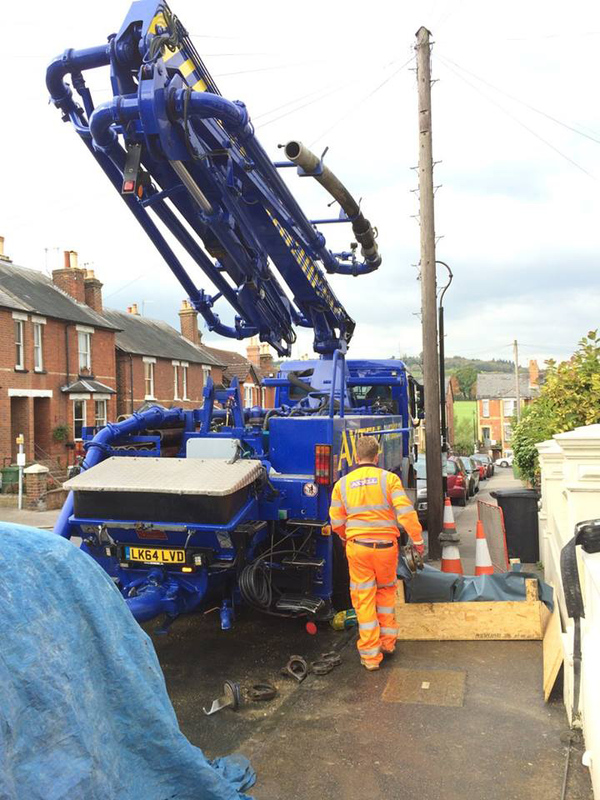 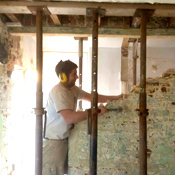 Our experience and expertise allows us to provide specialist knowledge throughout all stages of the project and has secured us work throughout Surrey, London and South East England. 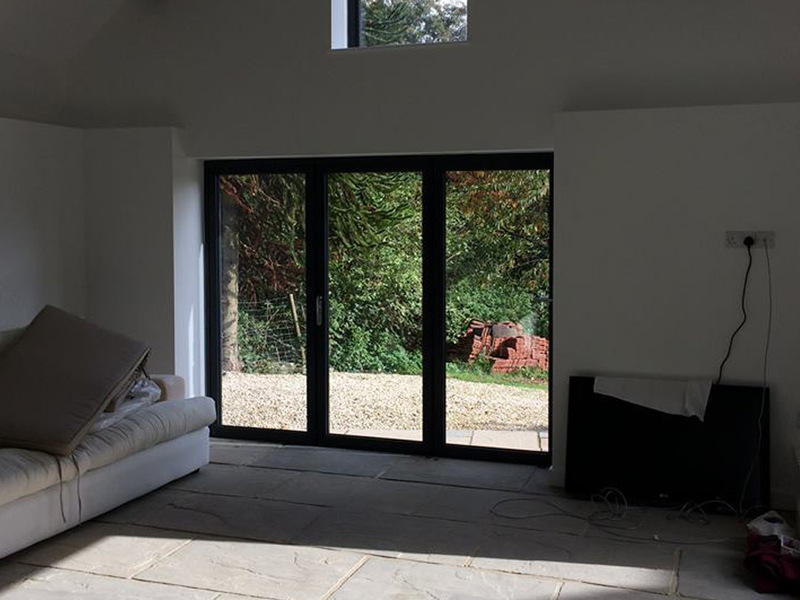 Take a look at Our Work to see some of our recent projects. 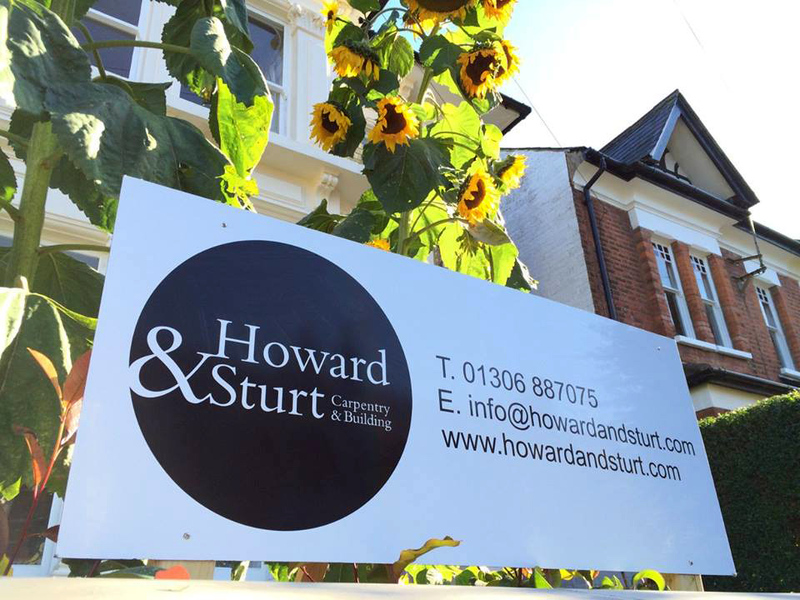 Howard & Sturt is owned and managed by Ben Howard and Craig Sturt. 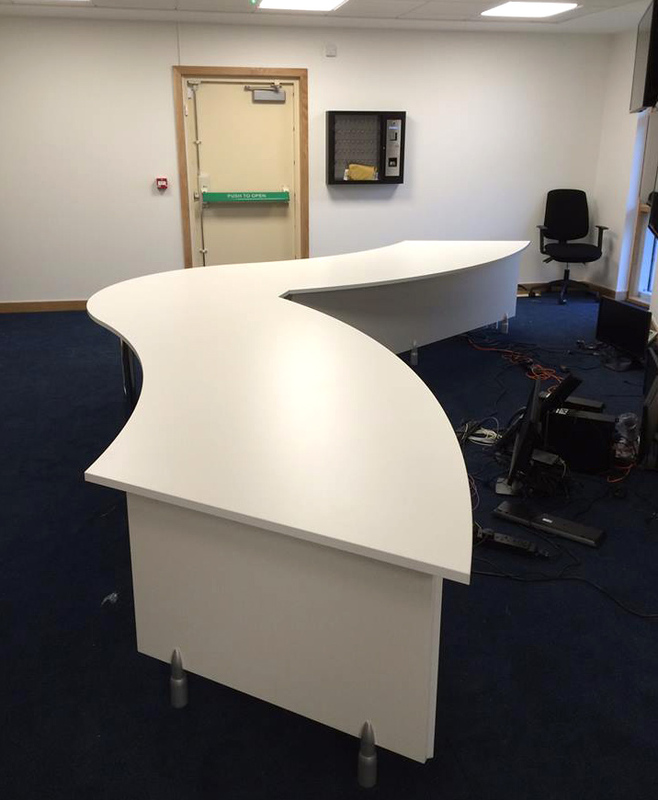 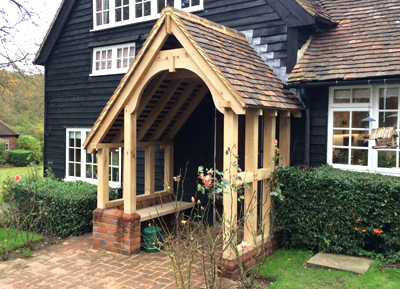 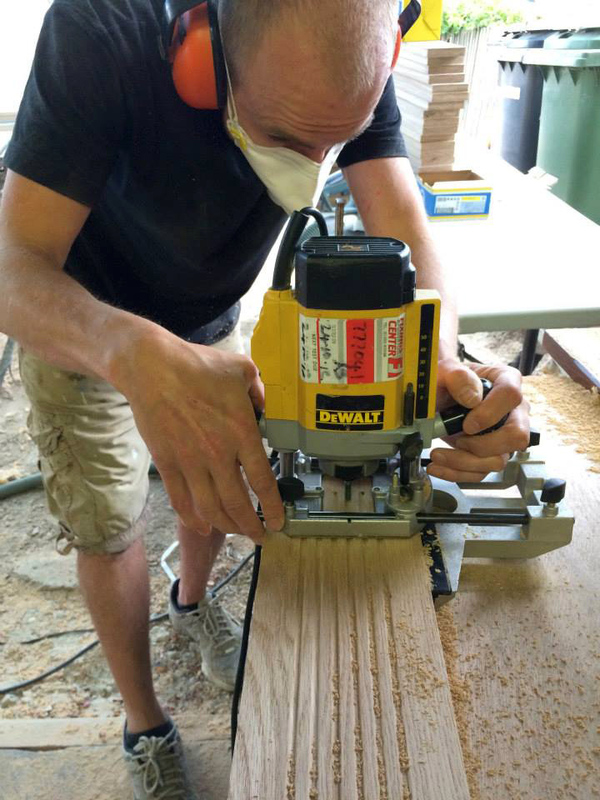 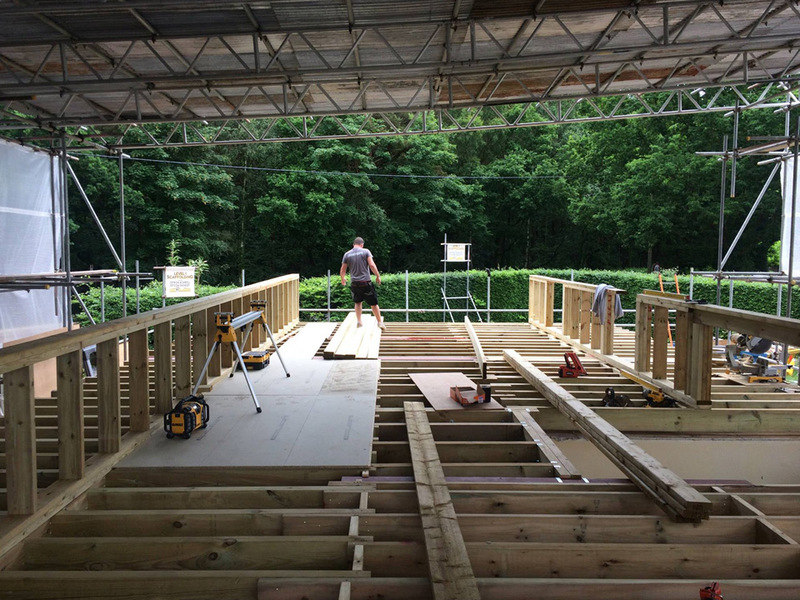 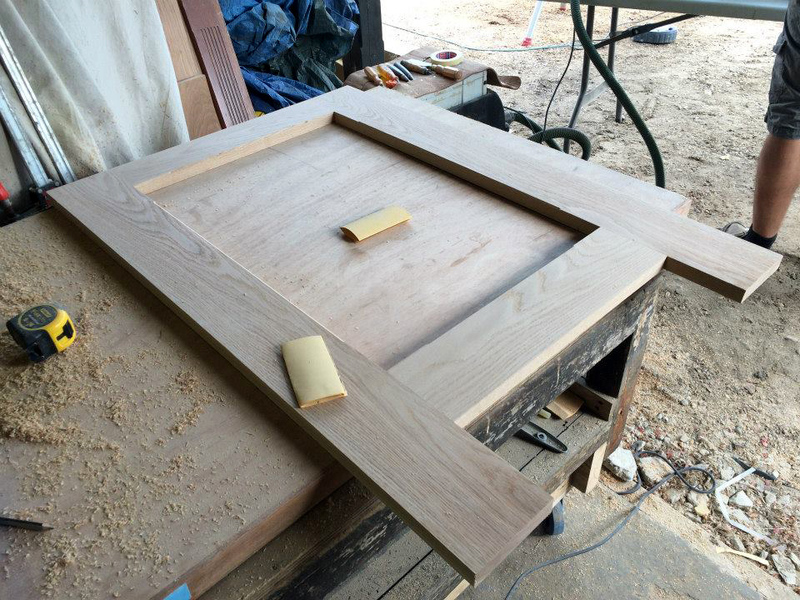 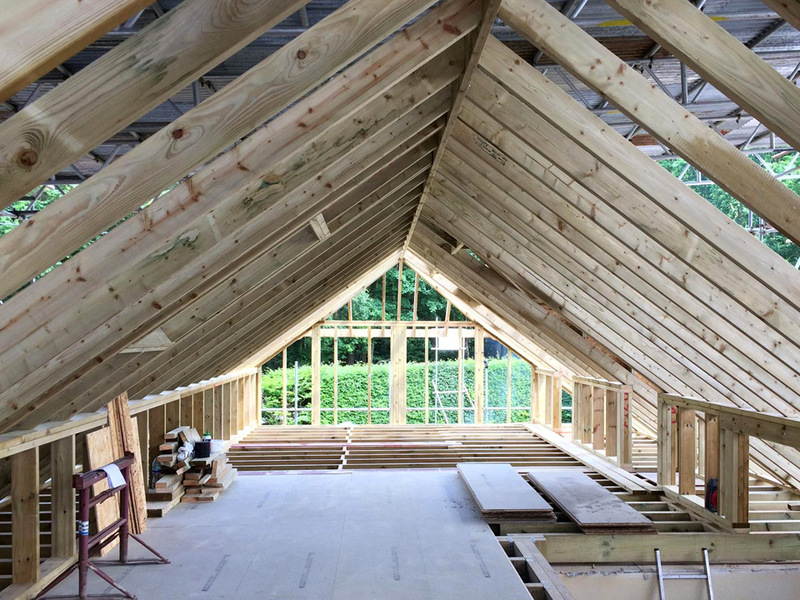 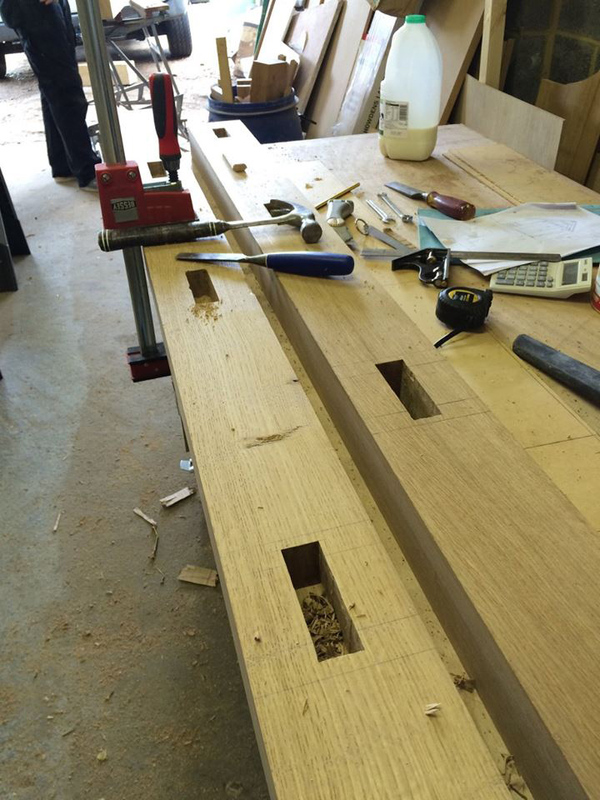 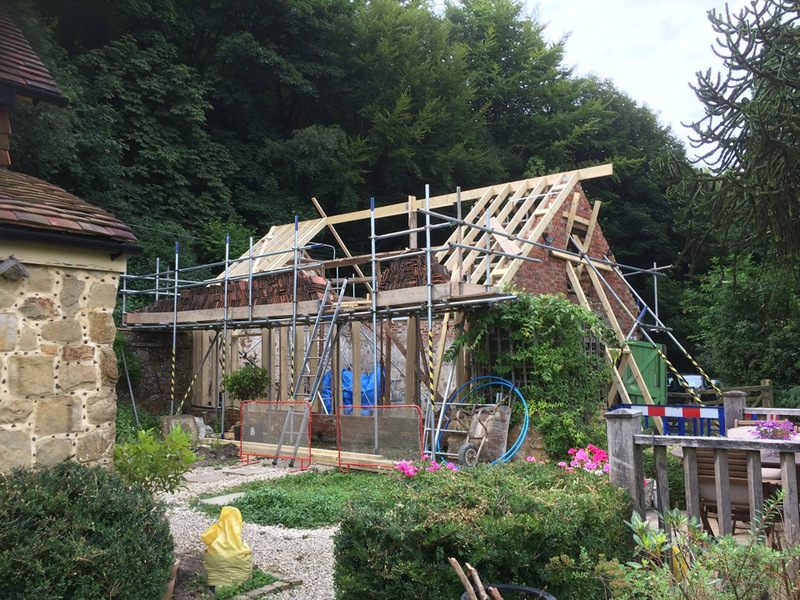 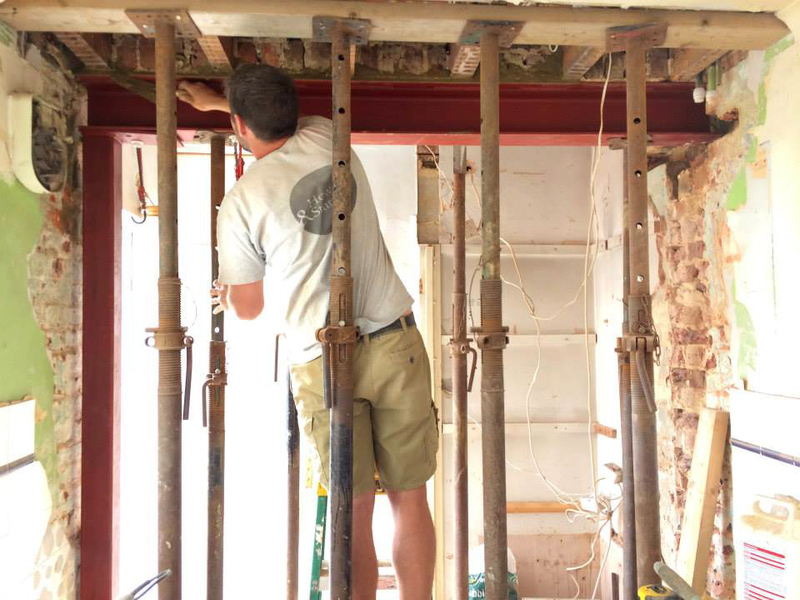 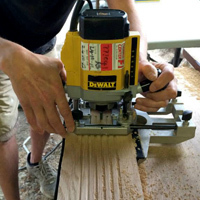 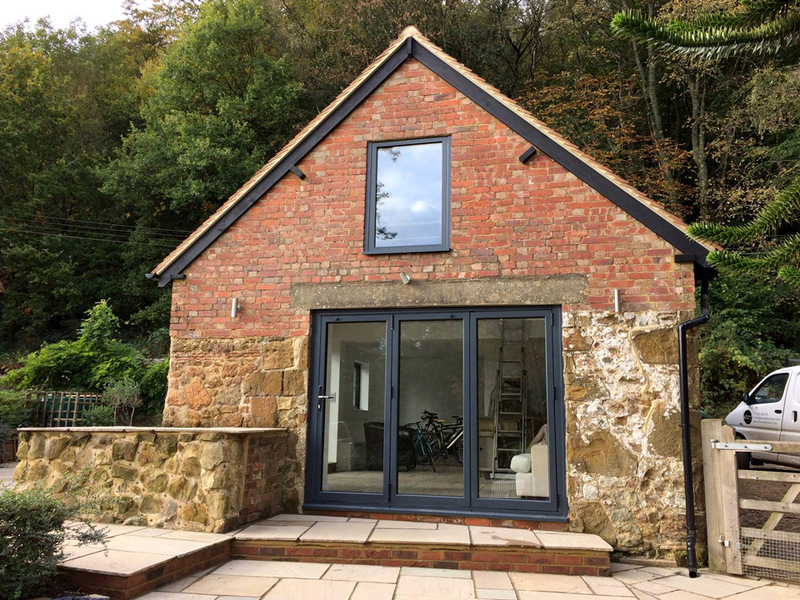 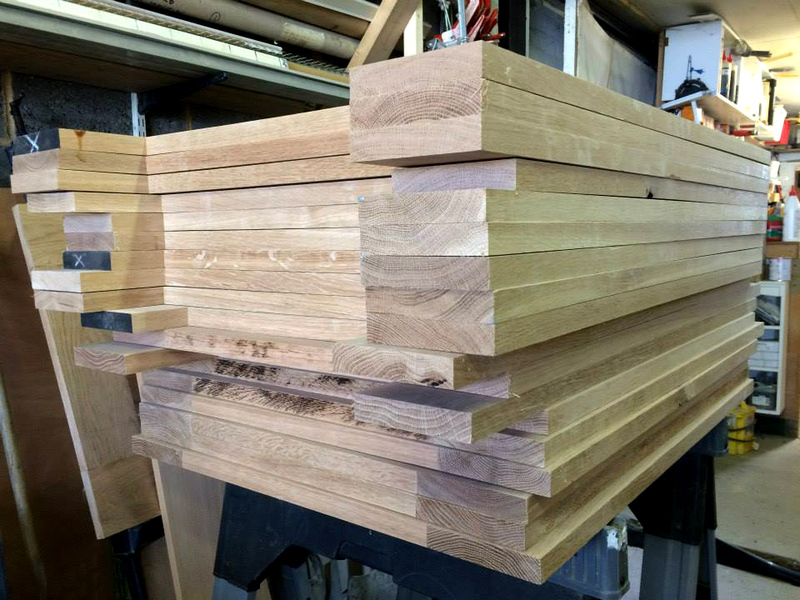 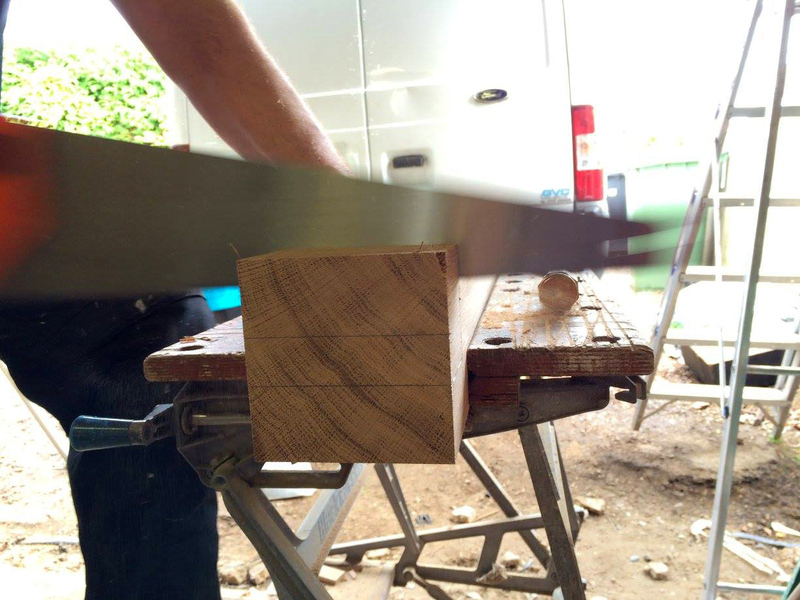 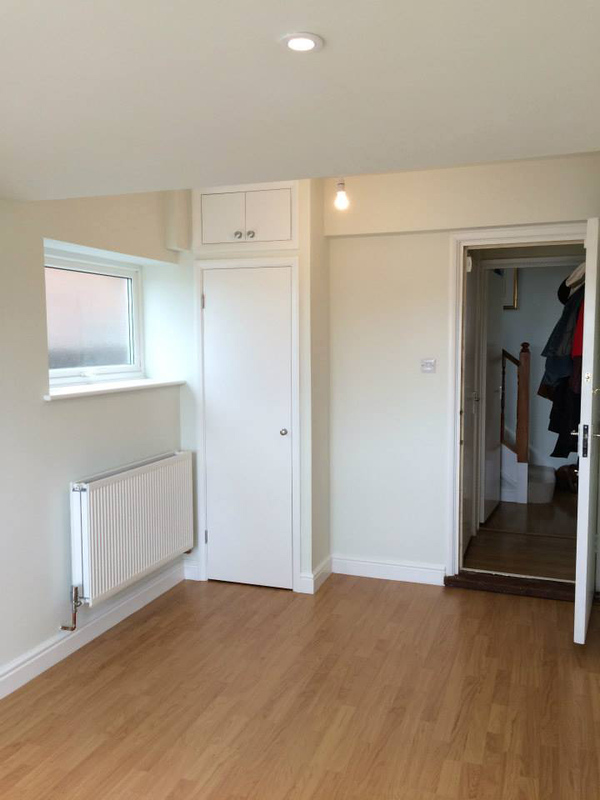 Formed by Ben Howard & Craig Sturt, we have over 30 years' commercial experience and an in depth knowledge of all aspects the joinery and wood working trades. 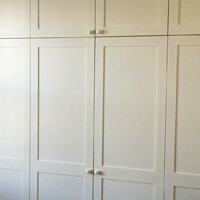 We are proud of the high quality of our work and attention to detail. 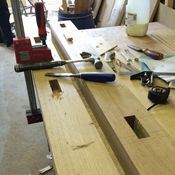 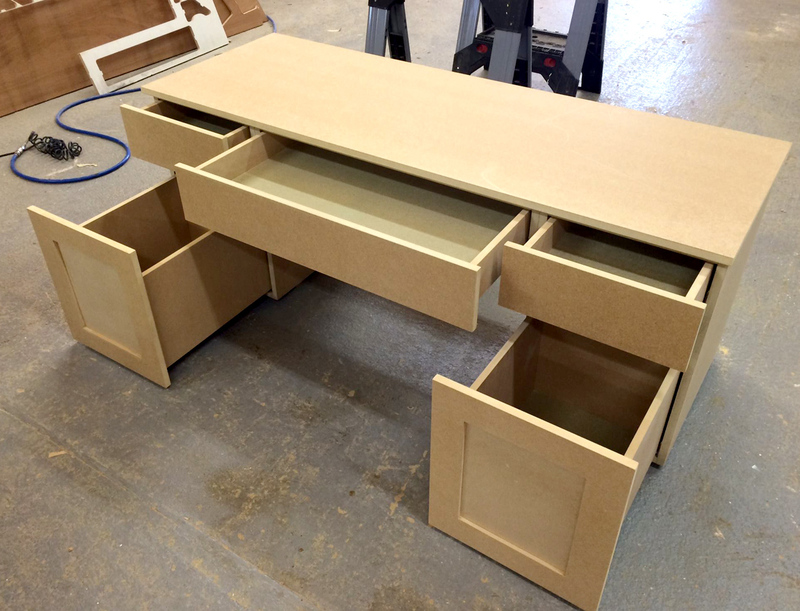 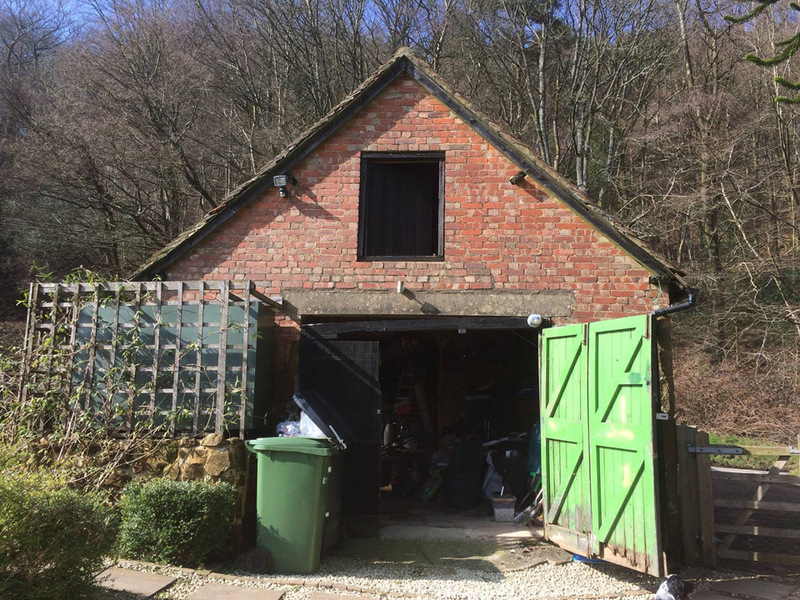 We have a small workshop in Dorking for all our cabinet making needs and an array of tools to enable us to build a variety of joinery items in our workshop or on site. 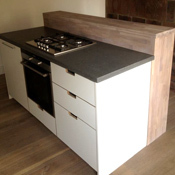 "I approached Howard and Sturt for advice about worktops. 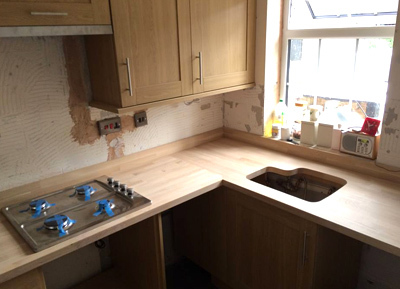 I ordered the worktops direct and organised H&S to fit them. 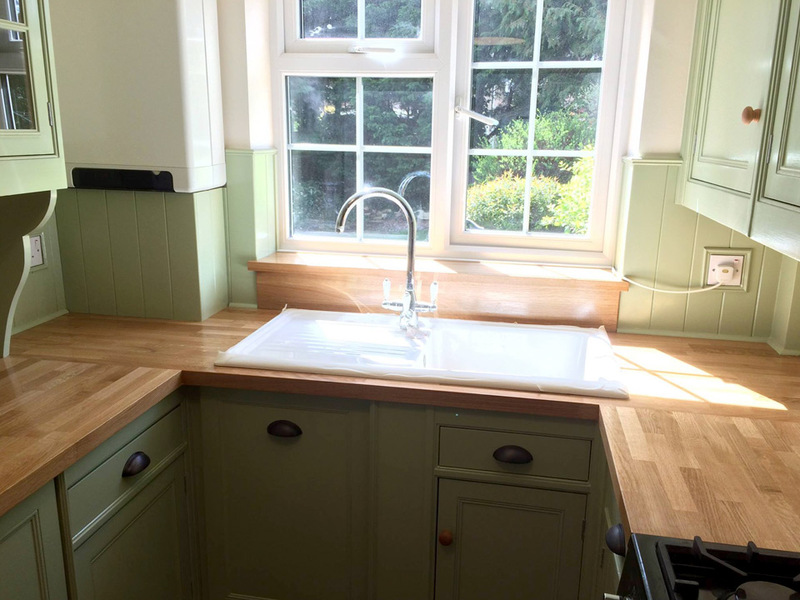 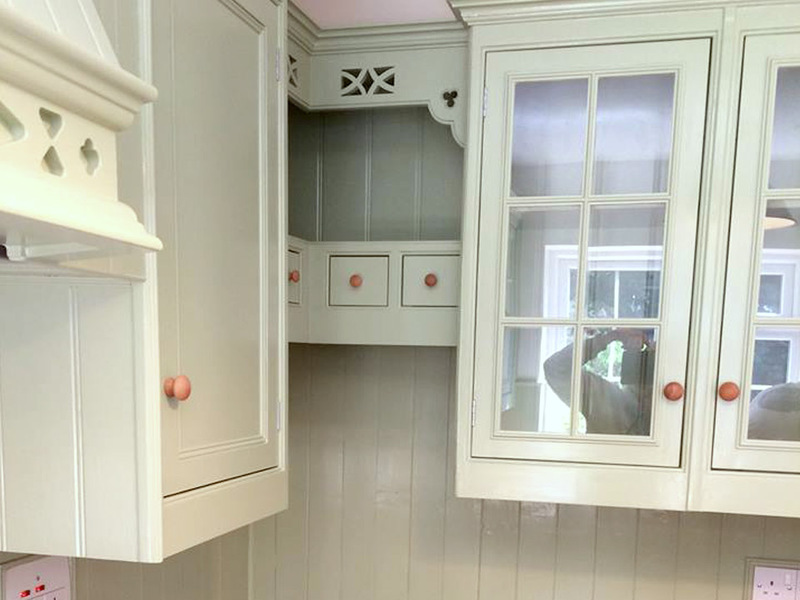 They were happy to install the worktops, up stands and a few bits of trim to finish off our kitchen. 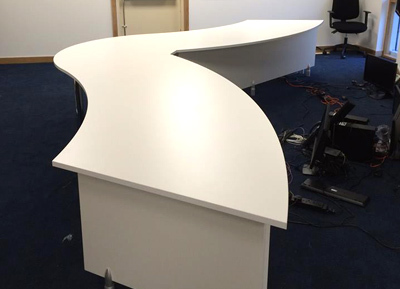 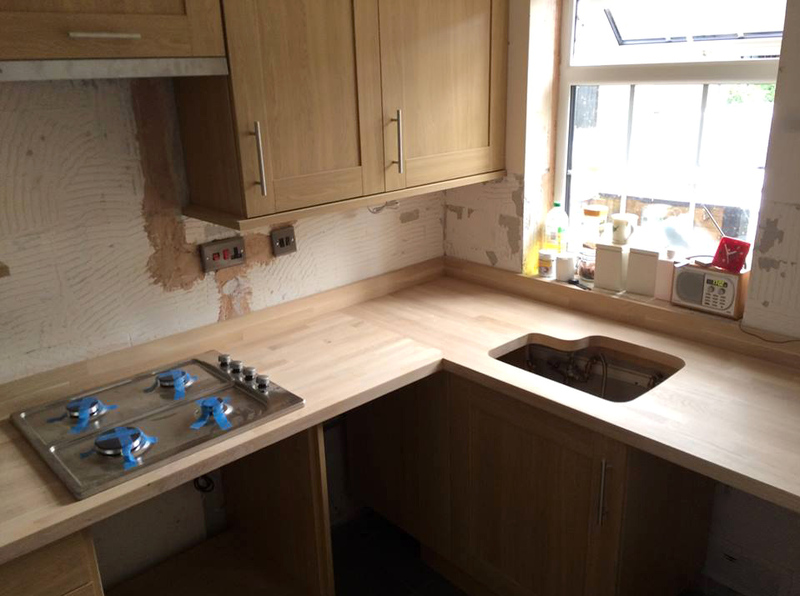 The work was carried out in one day while we were at work with little sign that anyone had been there apart from the stunning worktop which they had fitted. 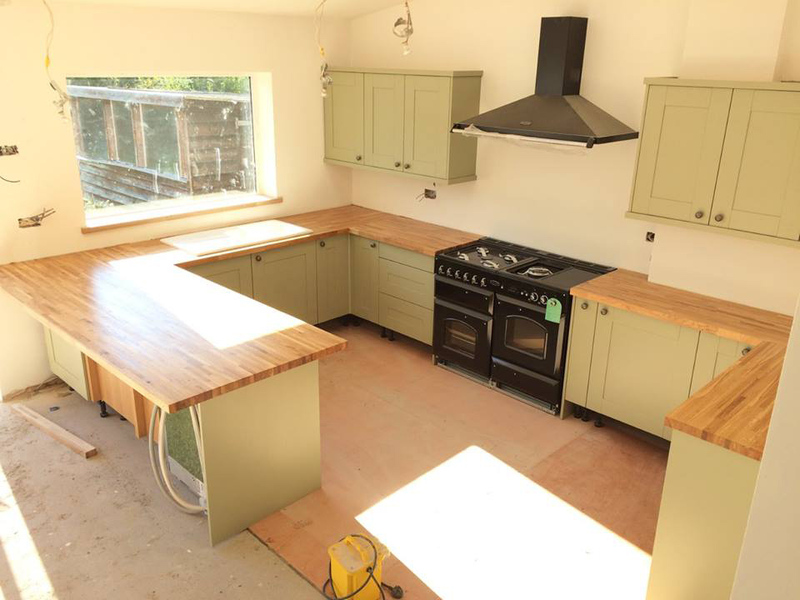 They also gave us advice on looking after and oiling our new oak worktop. 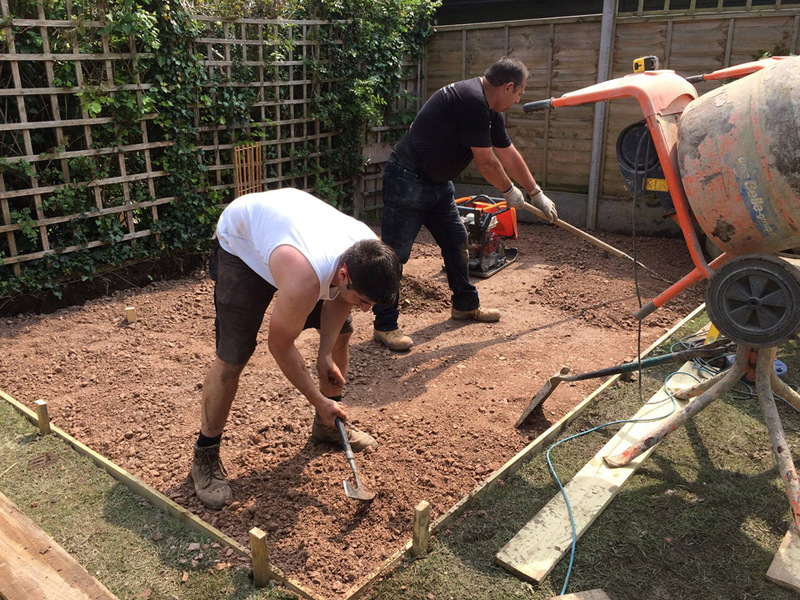 We would highly recommend Howard and Sturt Ltd."
"Both Craig and Ben are highly skilled and have a refreshing pride in their work. 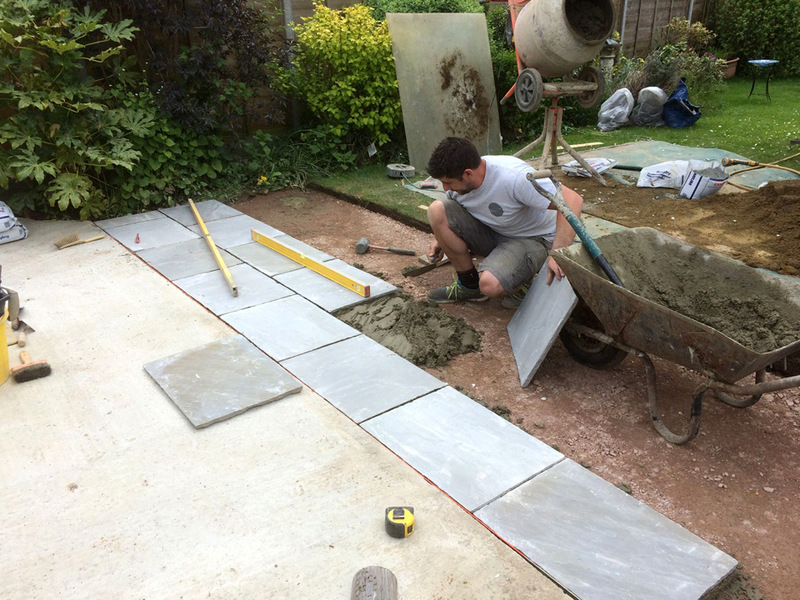 They have done work for me which I have been delighted with. 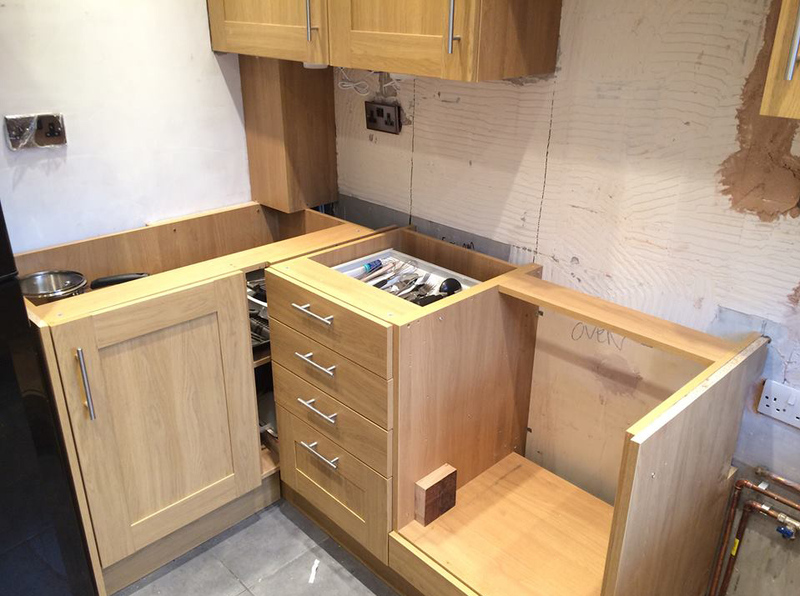 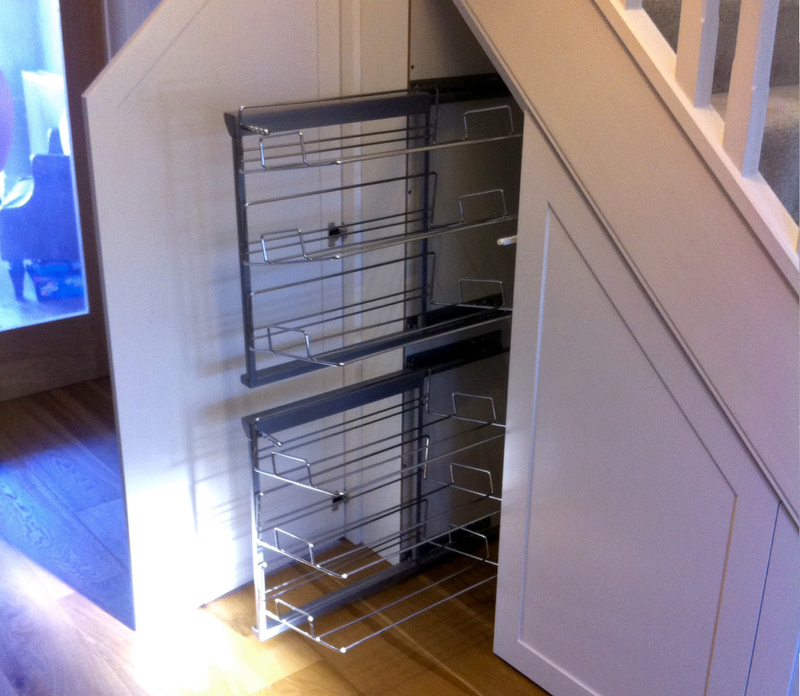 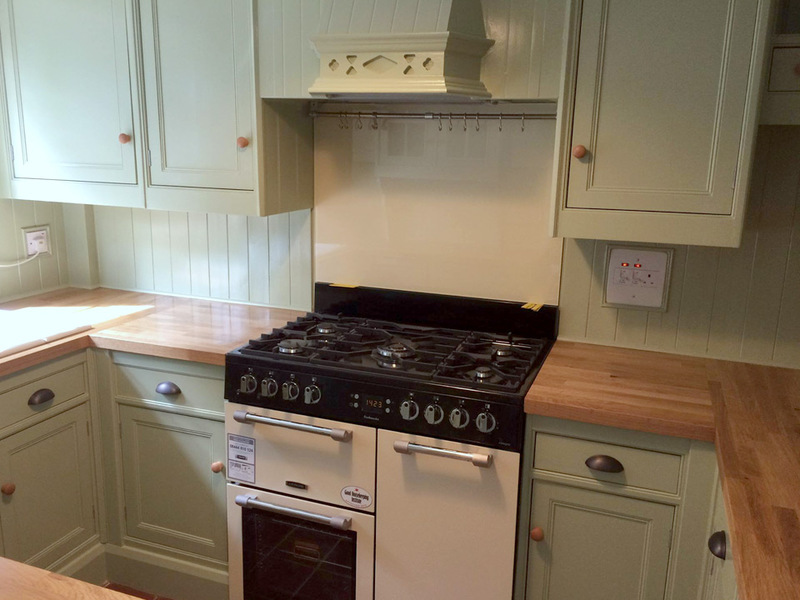 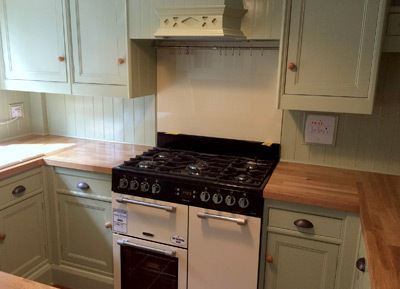 When my elderly in laws recently wanted a new kitchen fitted I had no hesitation in recommending Craig and Ben. 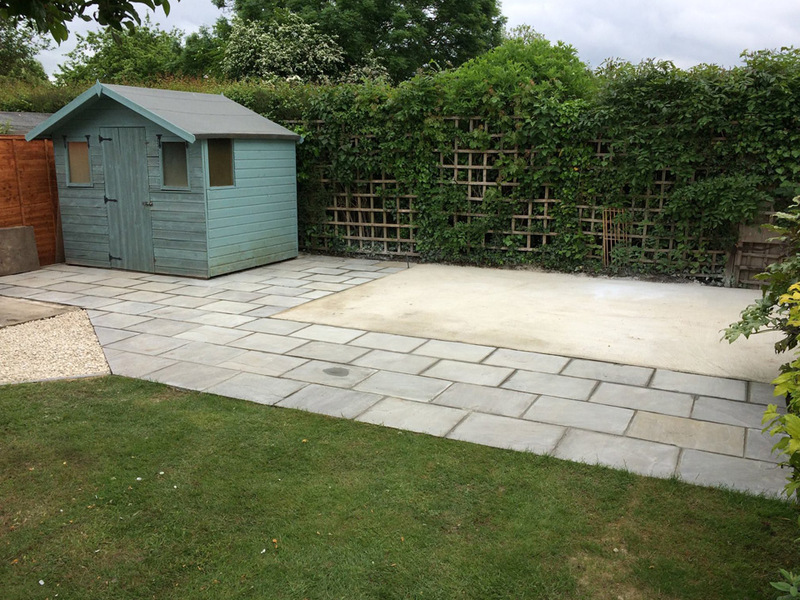 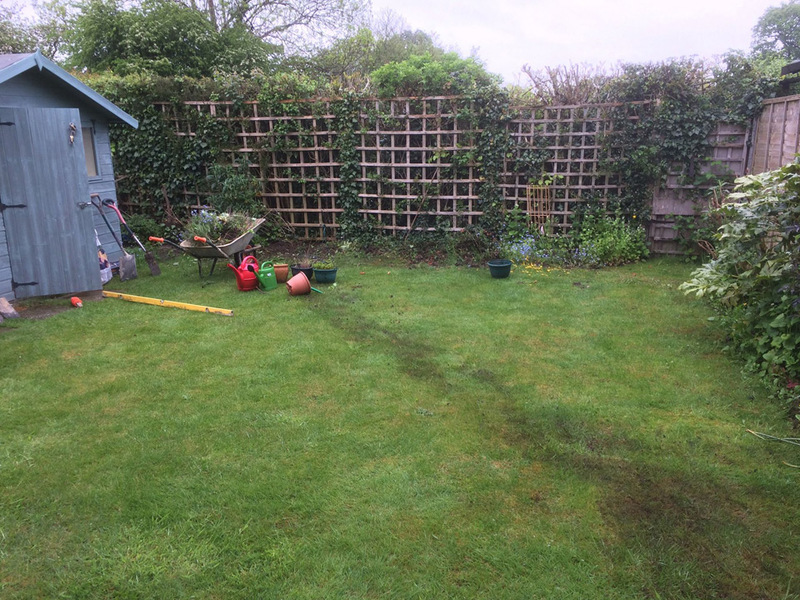 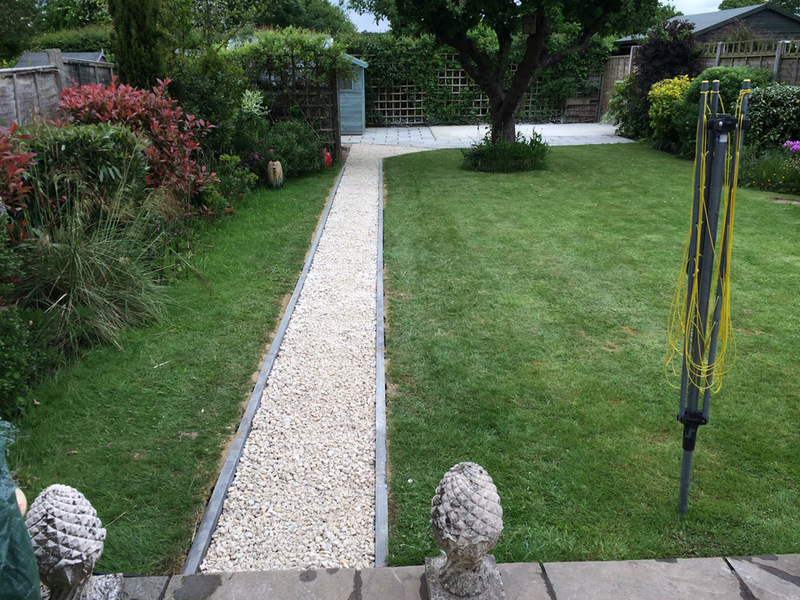 My in laws are delighted with the outcome which was completed on time and to their total satisfaction. 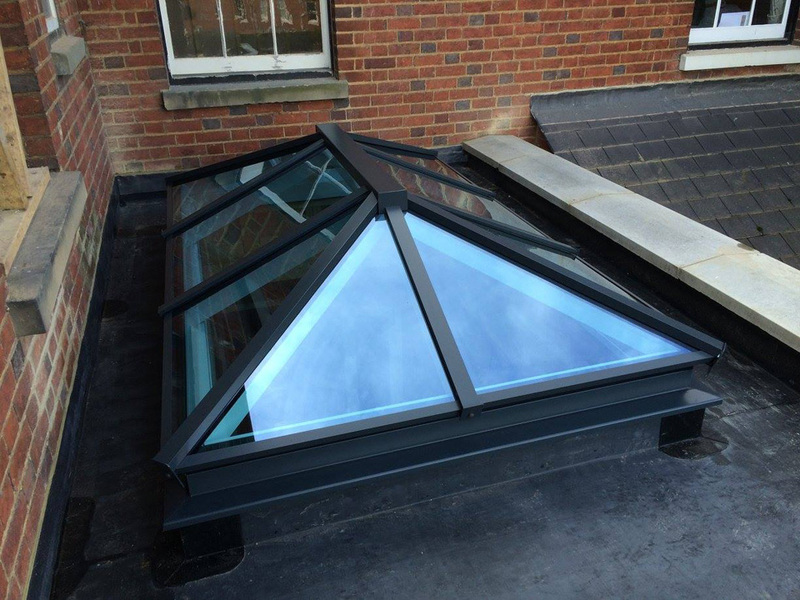 I am now recommending them to friends everywhere." 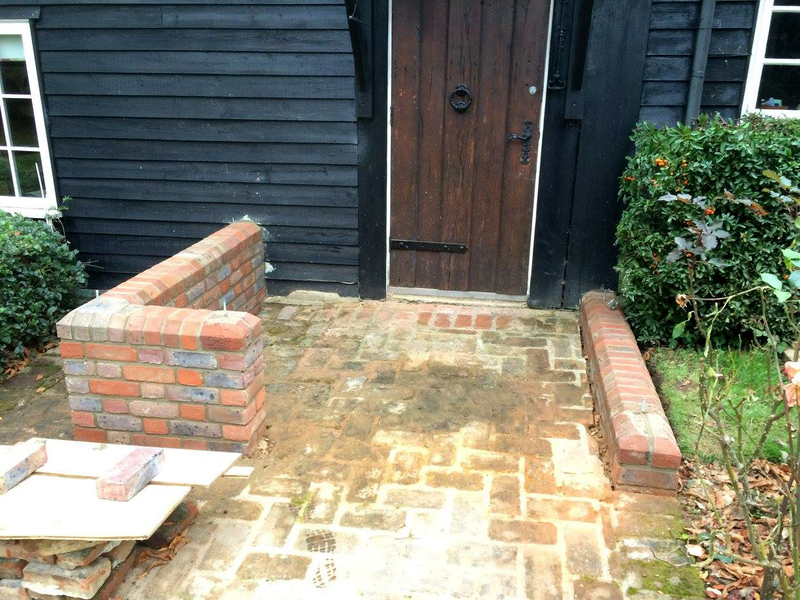 Jim Best, North Holmwood, Surrey. 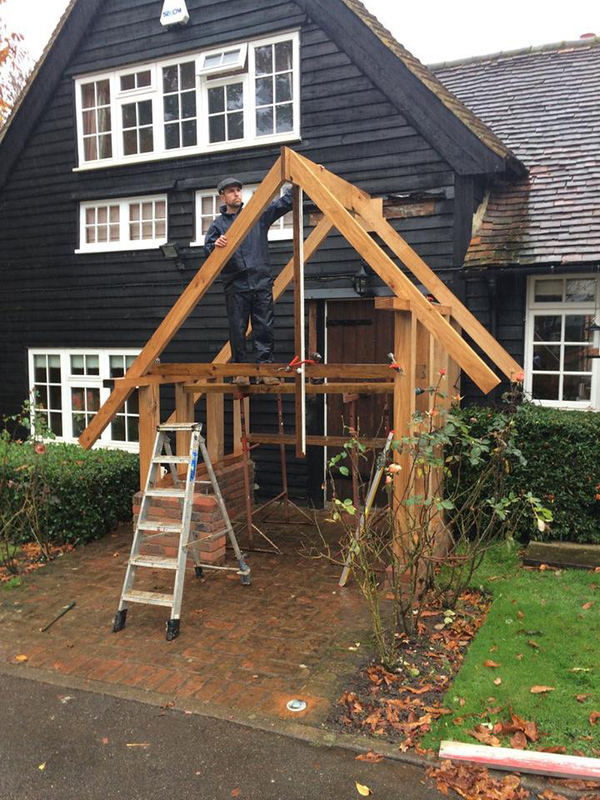 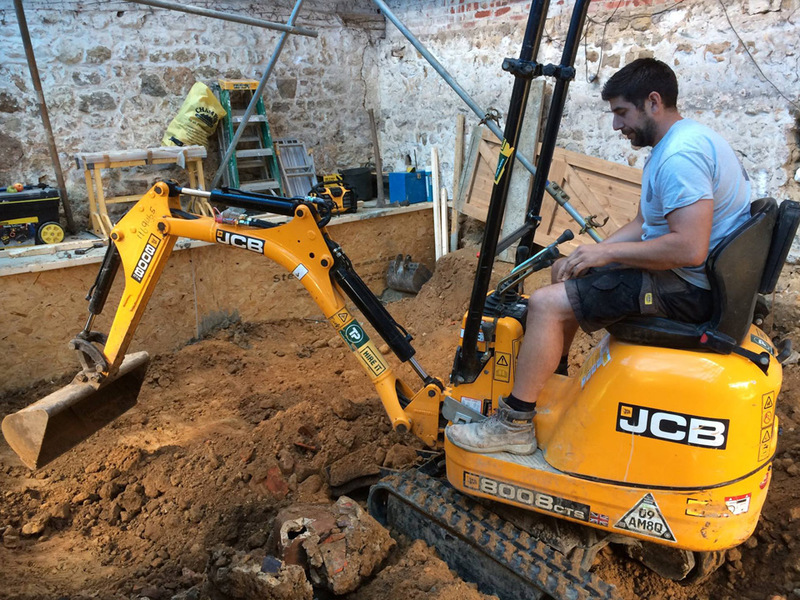 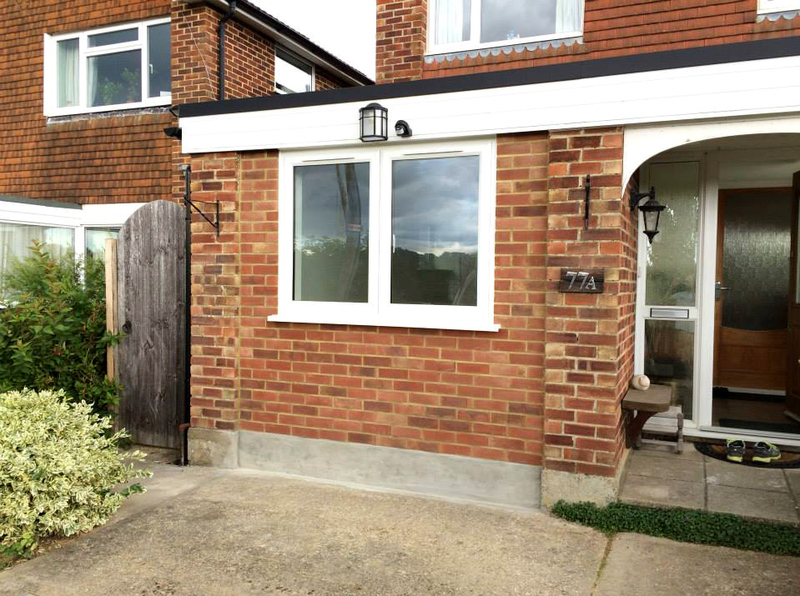 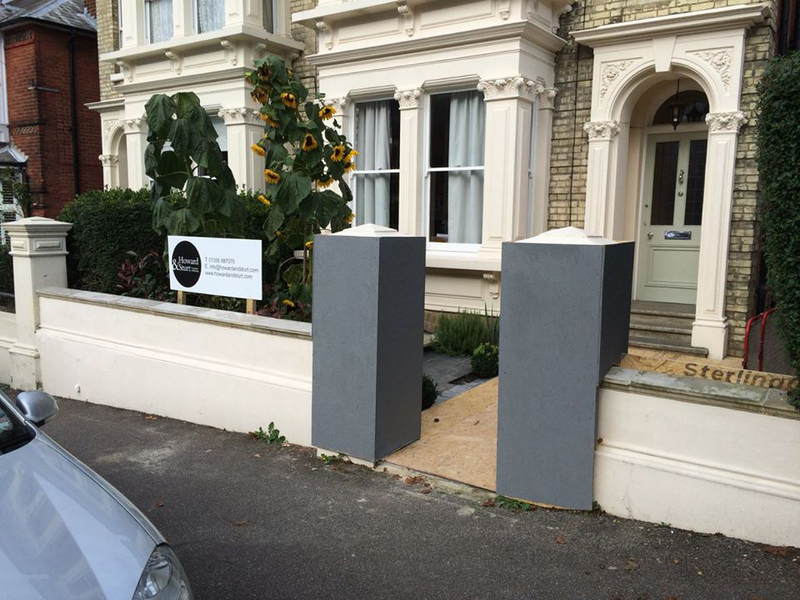 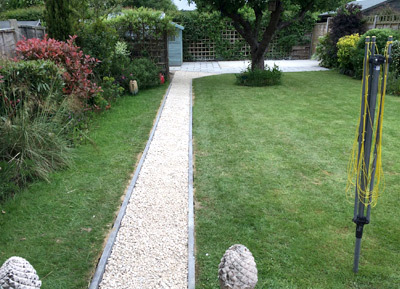 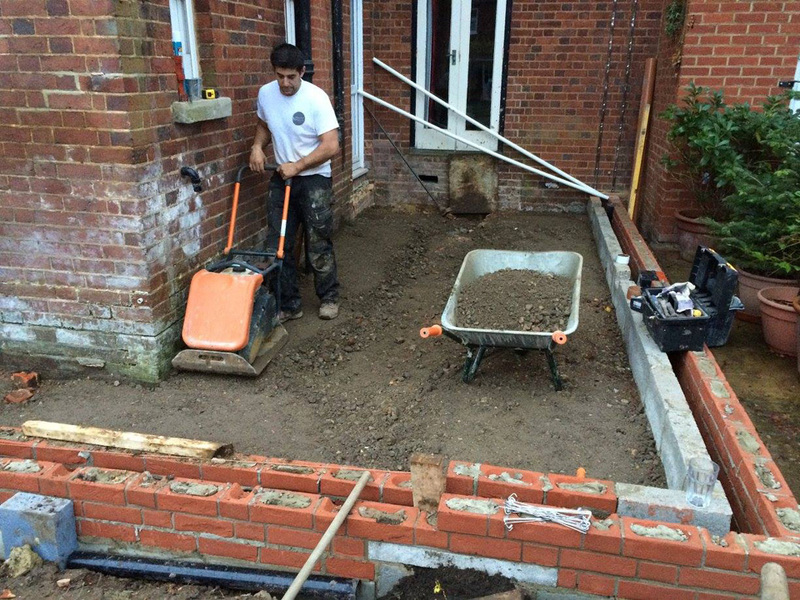 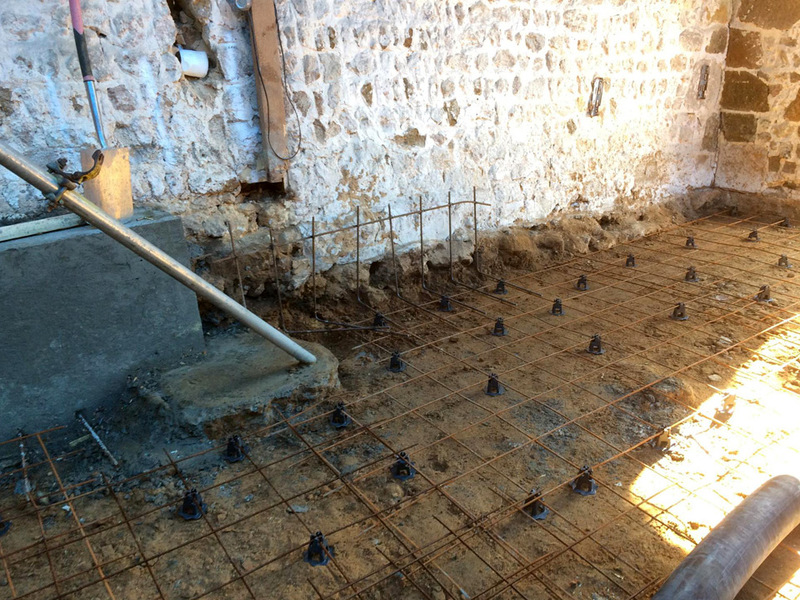 "Craig and Ben have recently completed a number of building projects for us. 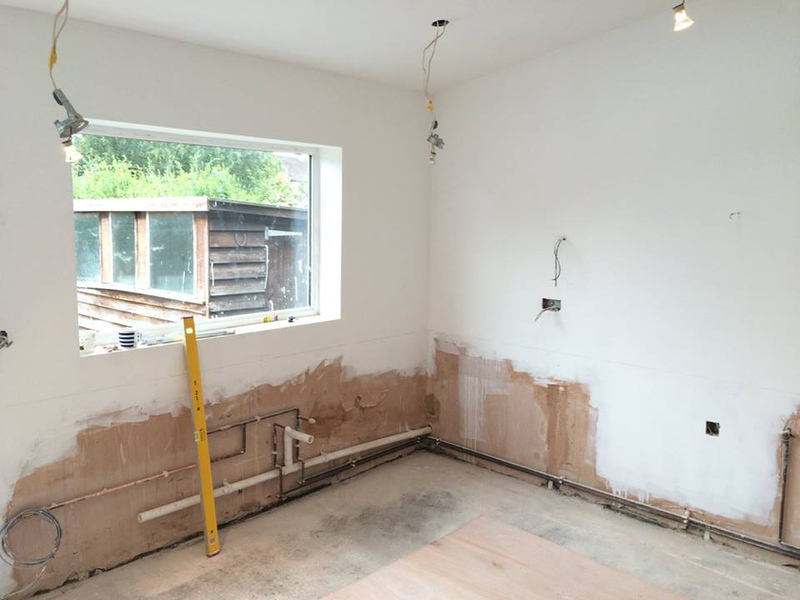 Each project was fully discussed beforehand to ensure all details were covered. 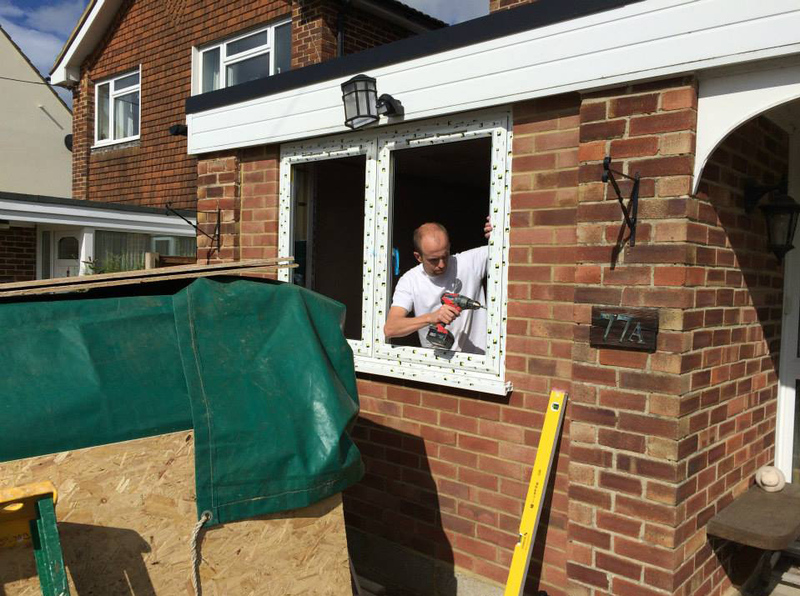 They were punctual, kept us fully informed, caring not to make a mess and highly professional in their attitude and workmanship. 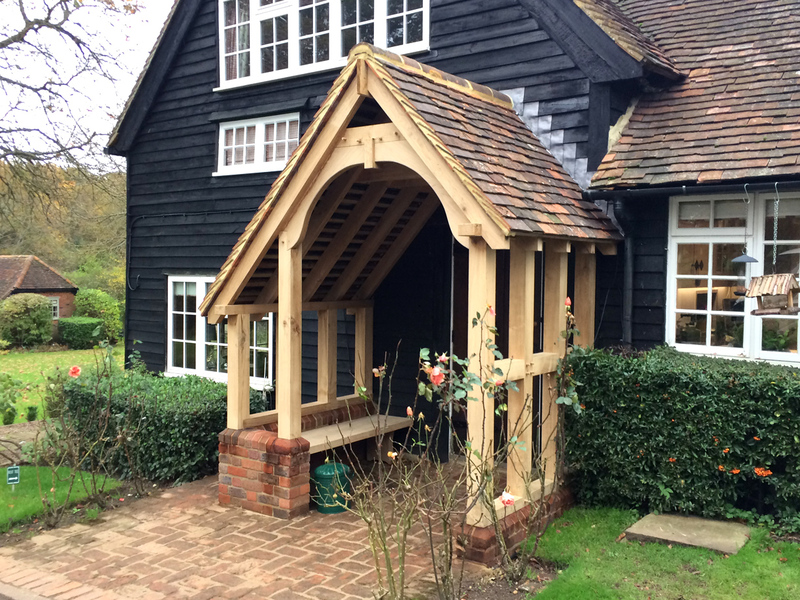 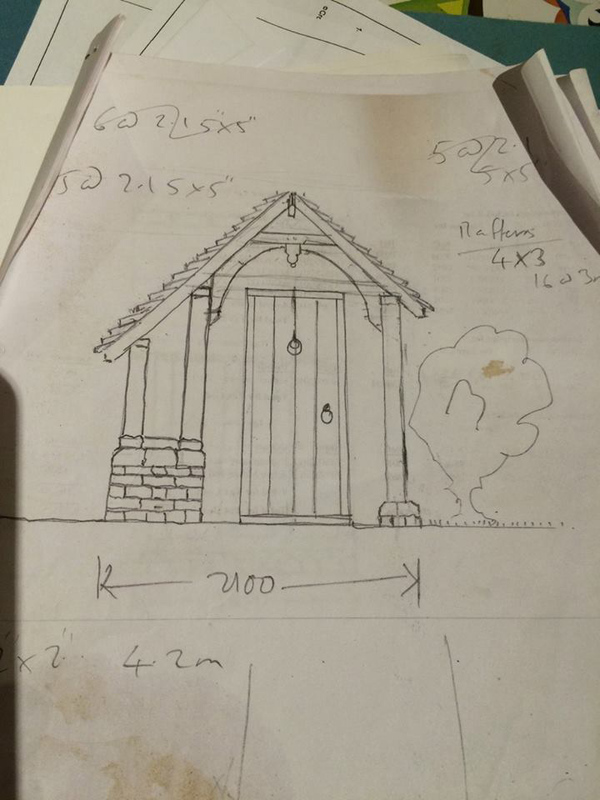 One of the projects (the building of a porch) arose from the most basic drawing and they created by hand the bespoke construction from that drawing and took great care in the finish." 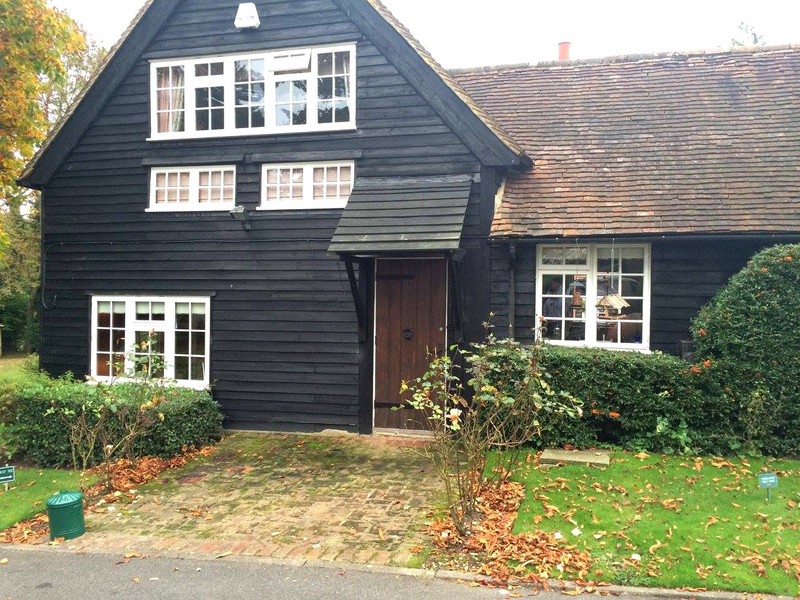 Len & Frances Harwood, Surrey. 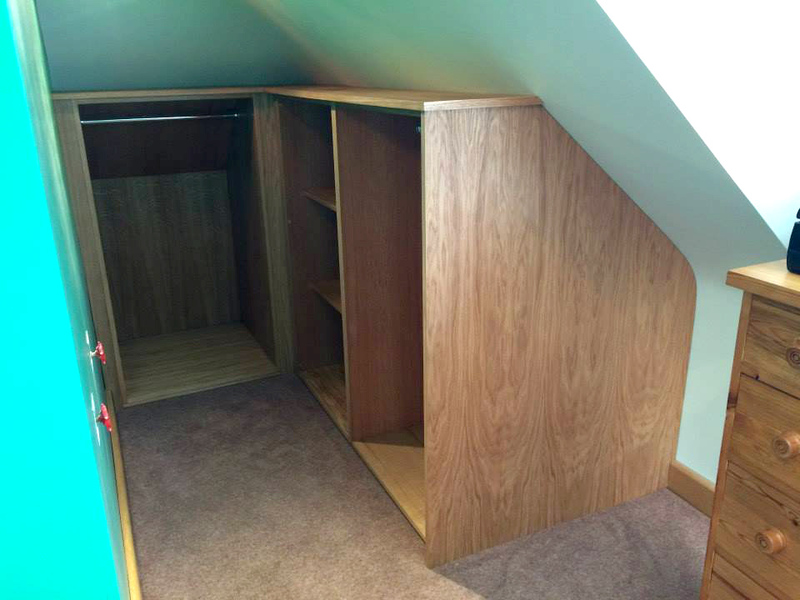 "I was thrilled to bits with the work, please pass on my thanks. 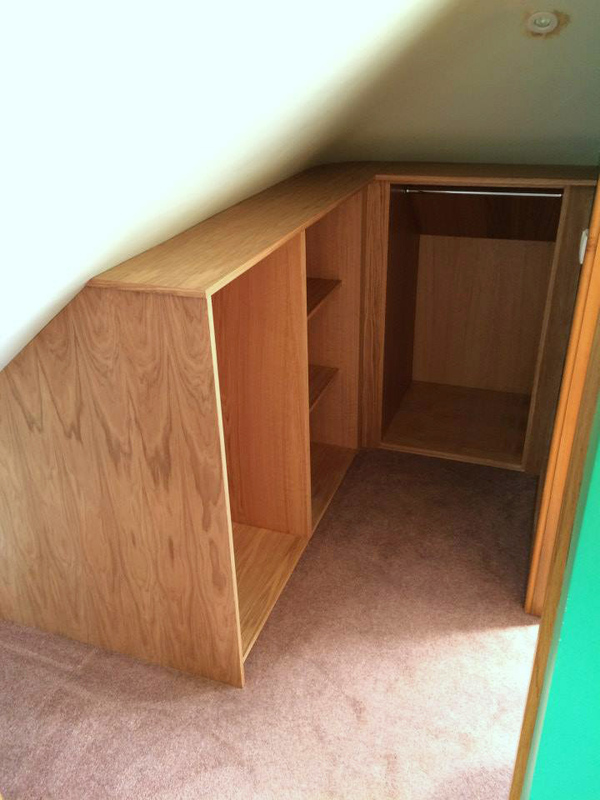 I won't hesitate to use/recommend you for future work." 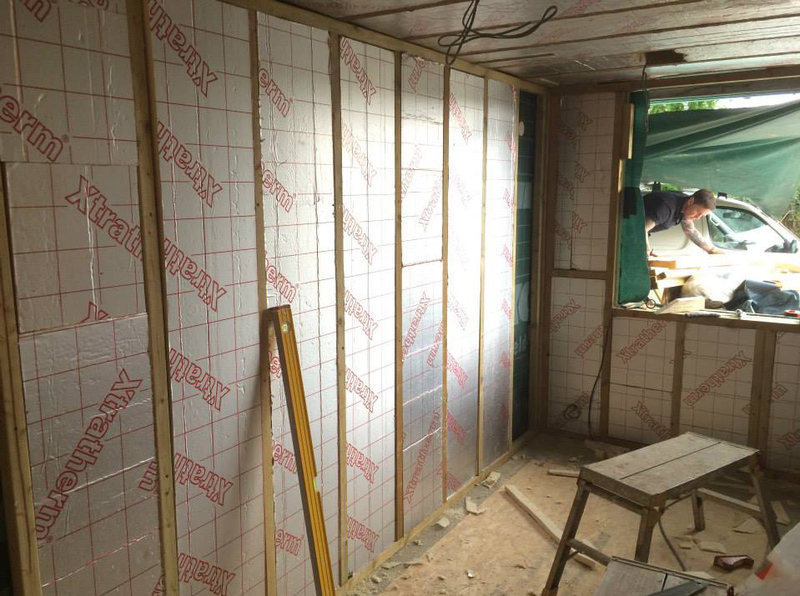 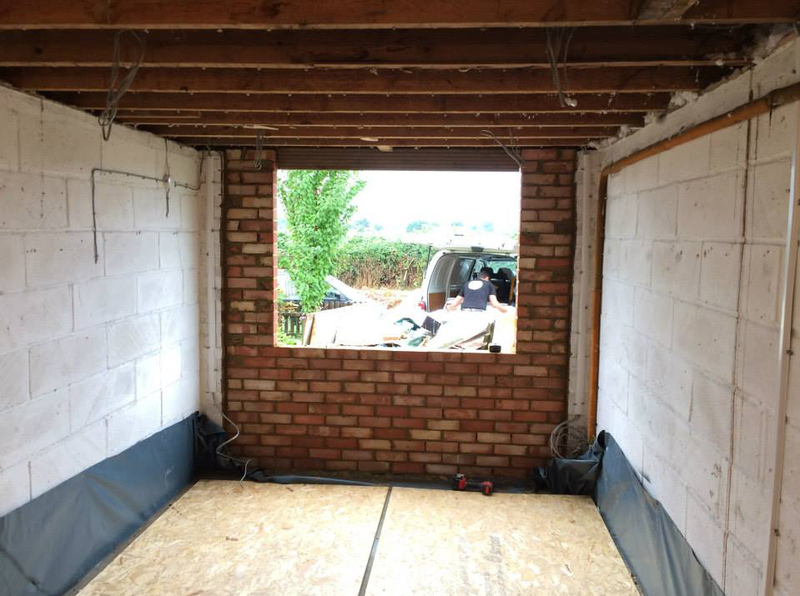 Garage converted into a usable living space, bricking up the open end of the garage to create a windowed wall, installing insulation and creating storage space for the room. 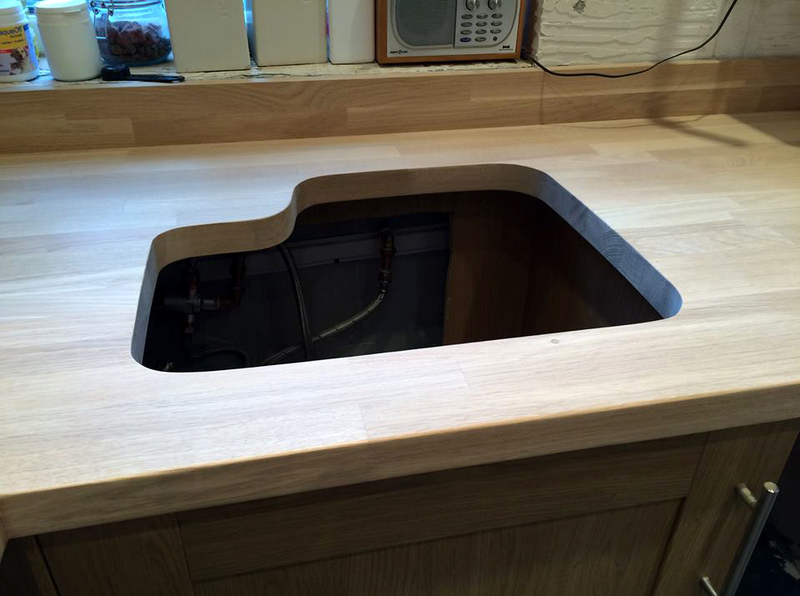 New oak worktop installed with under mounted sink and oak up stands, ready for oiling. 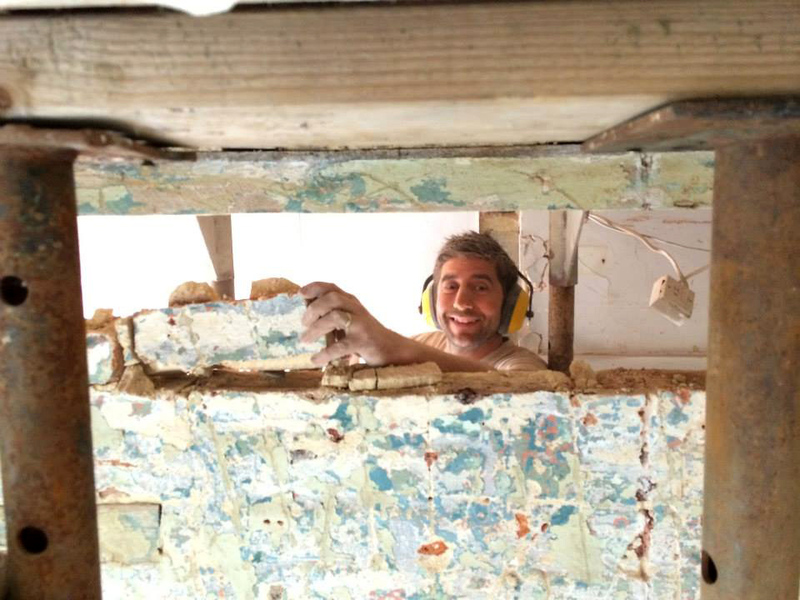 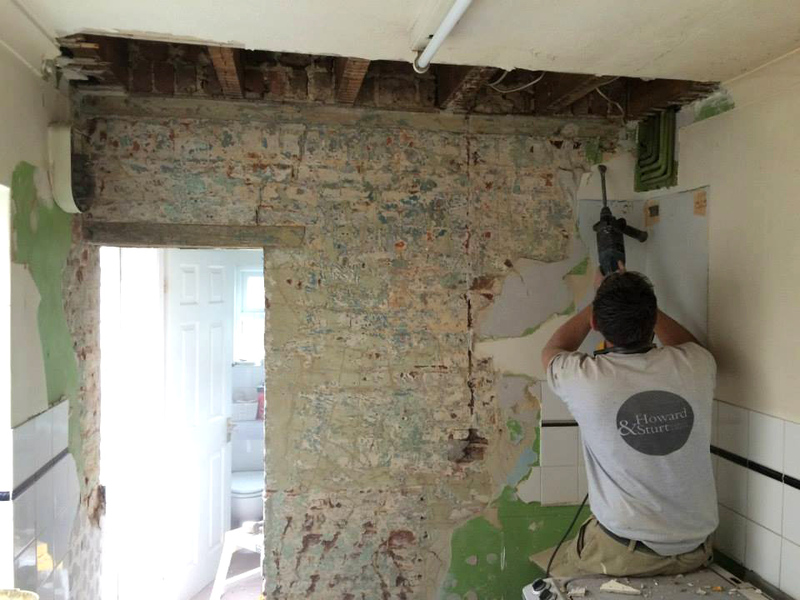 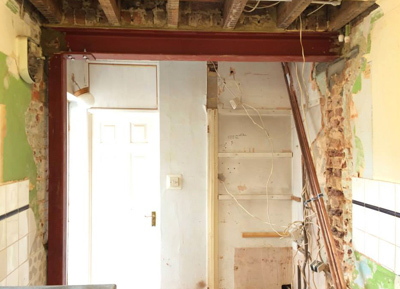 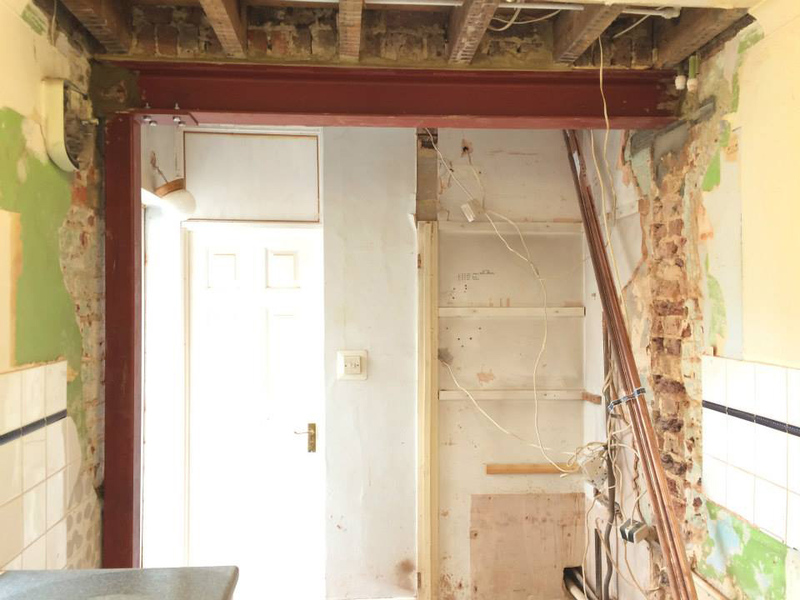 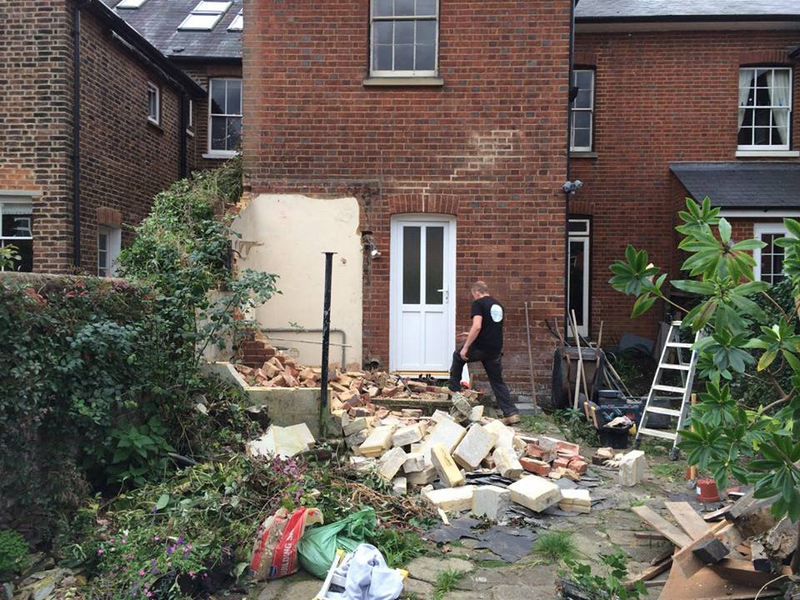 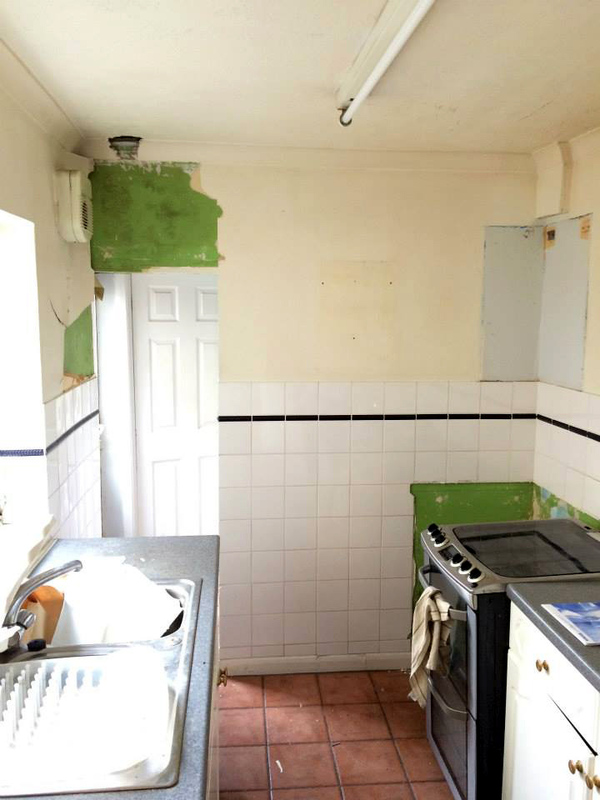 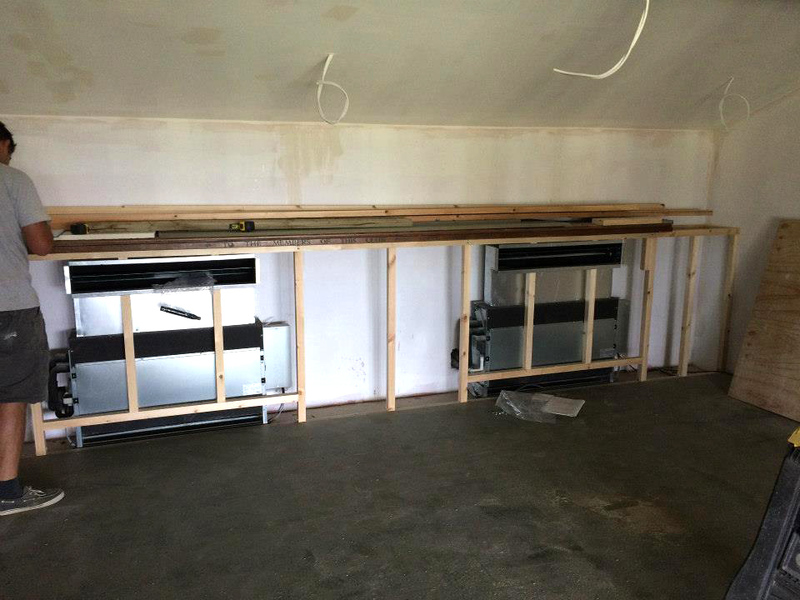 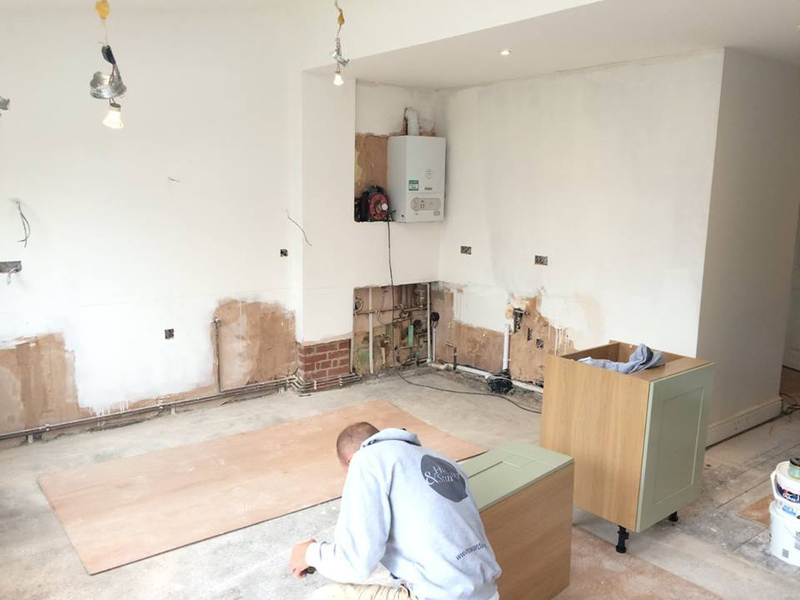 The Client wanted a bigger kitchen, so we removed a wall for them! 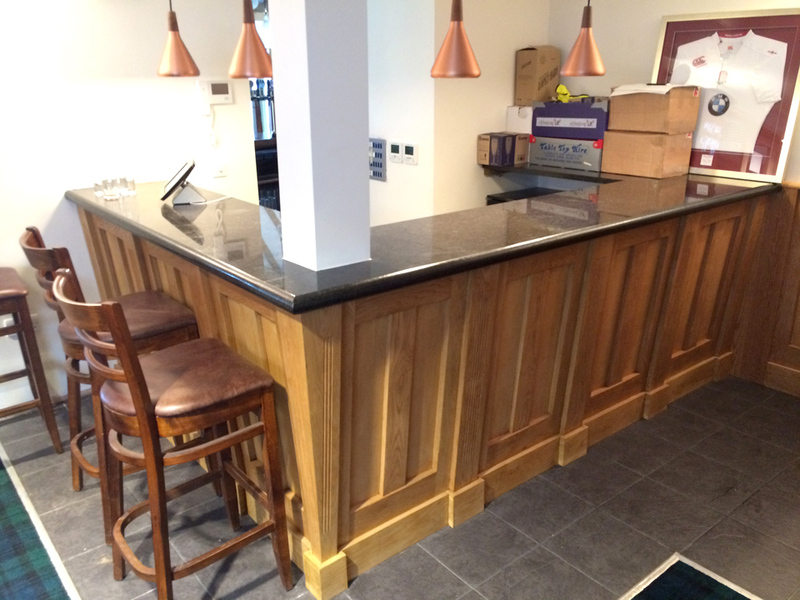 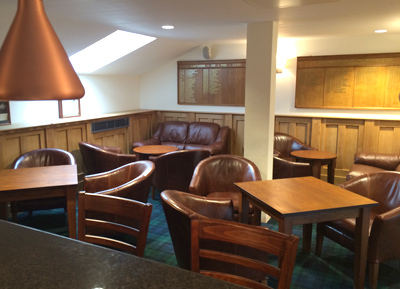 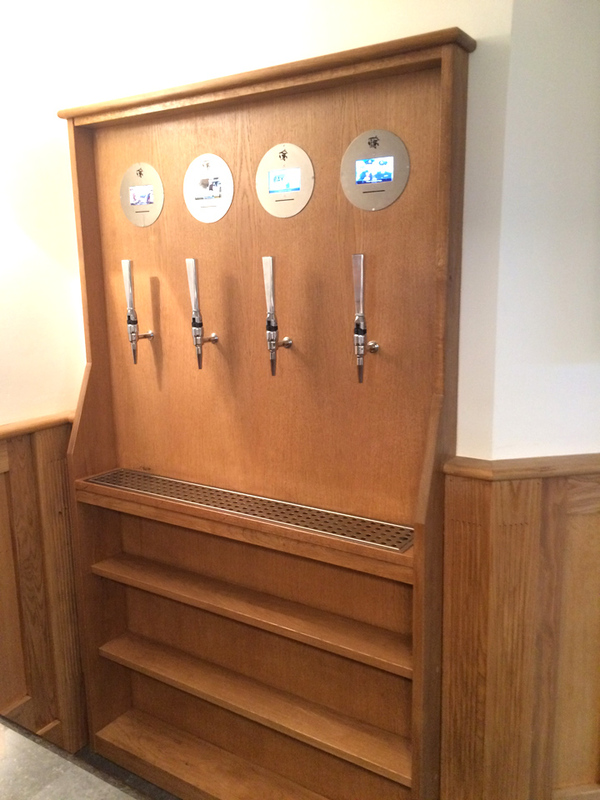 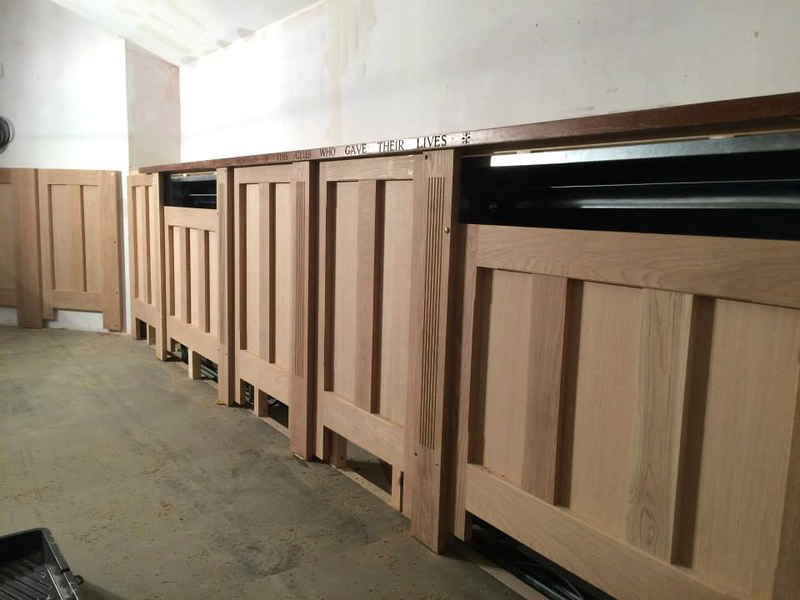 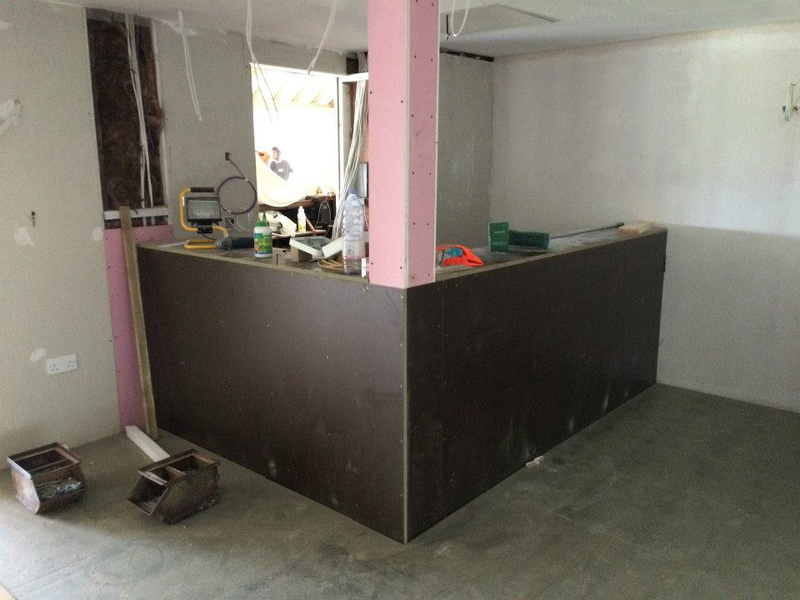 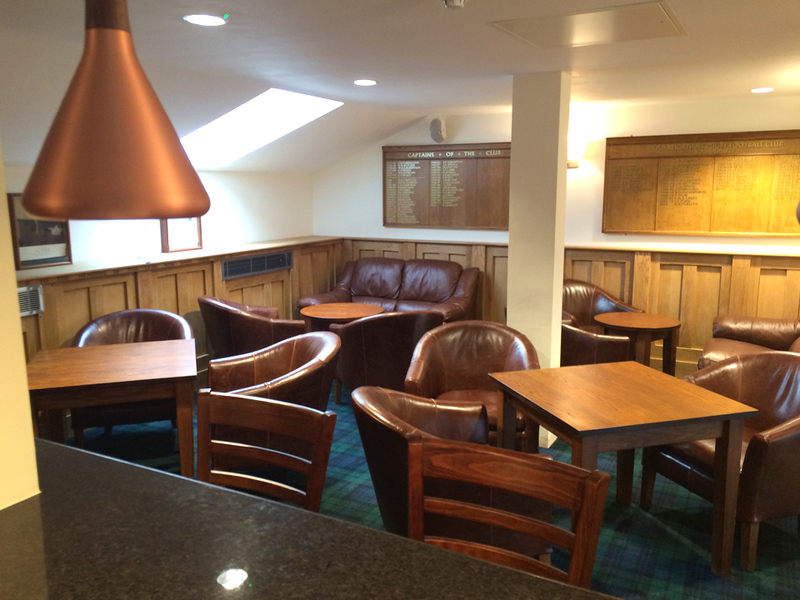 Oak panelling constructed and installed to surround the new bar areas. 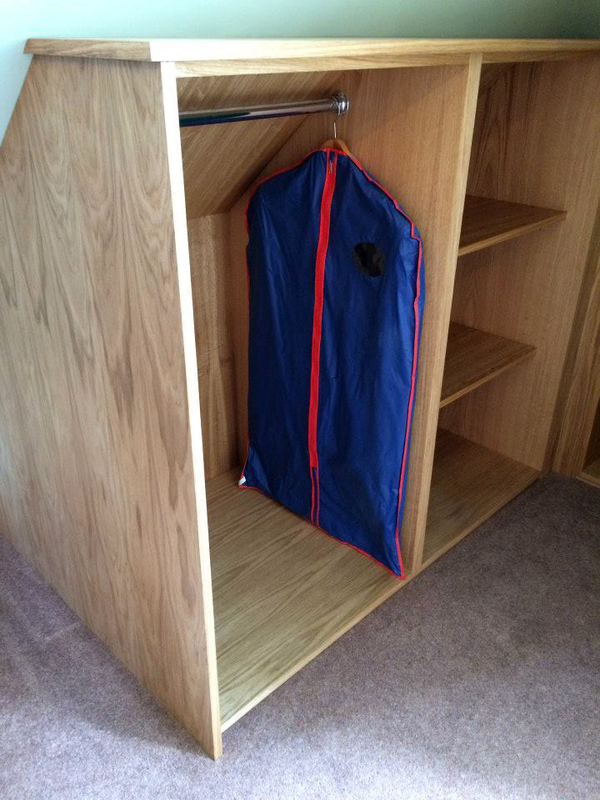 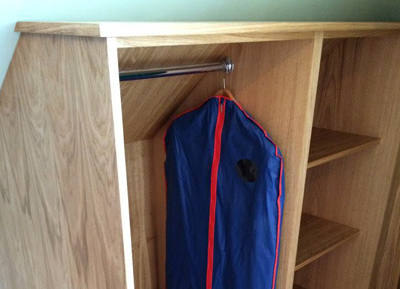 Bespoke oak eaves wardrobe constructed and installed in client's home.